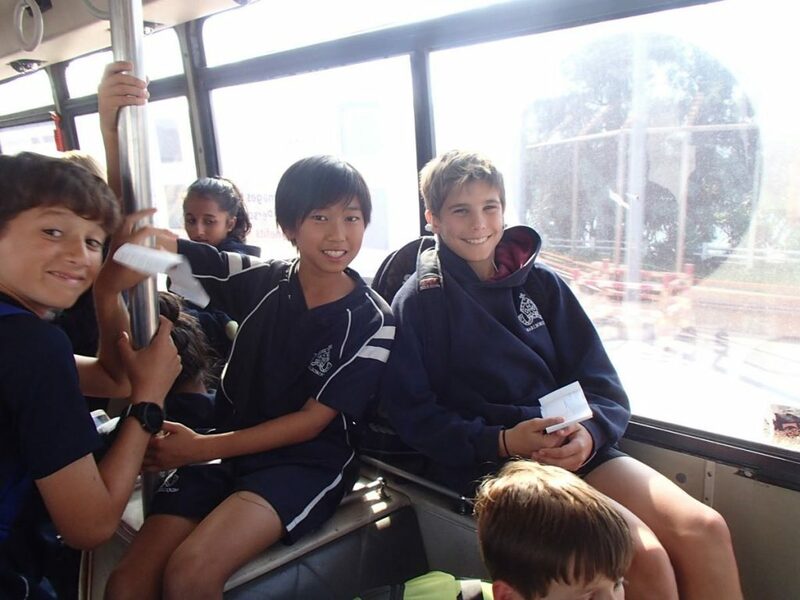 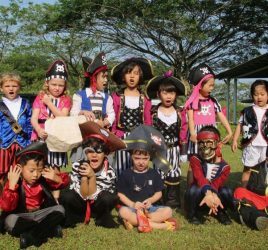 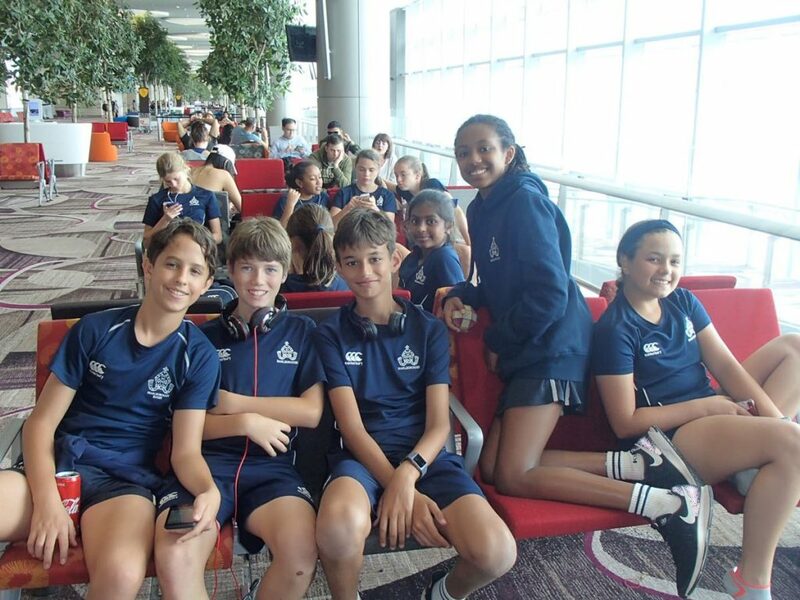 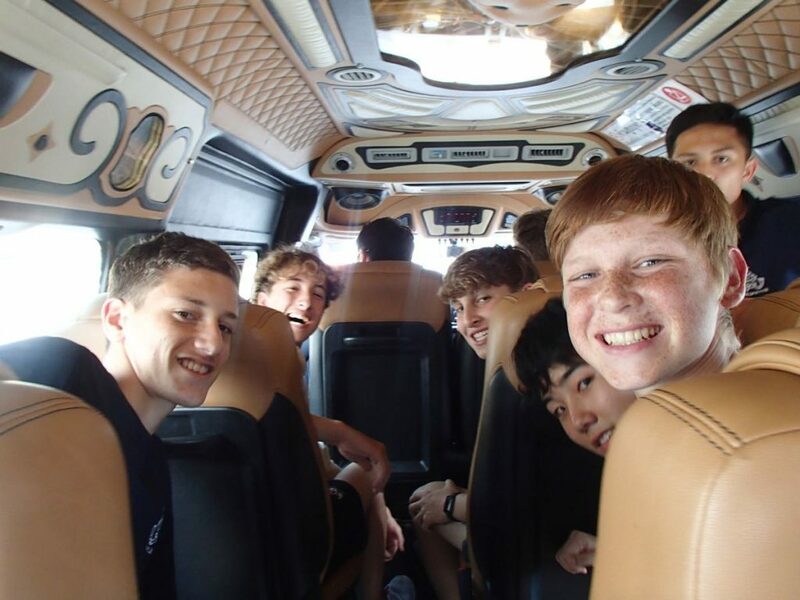 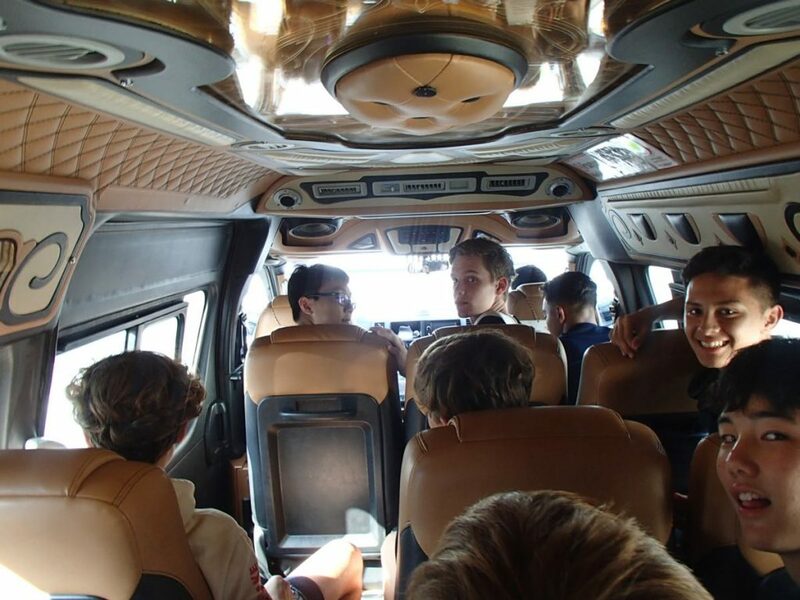 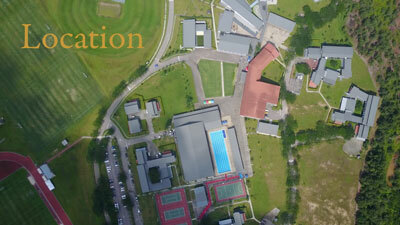 On the Exeat weekend, 37 Prep pupils left Malaysia for the biggest school football tournament in South East Asia. 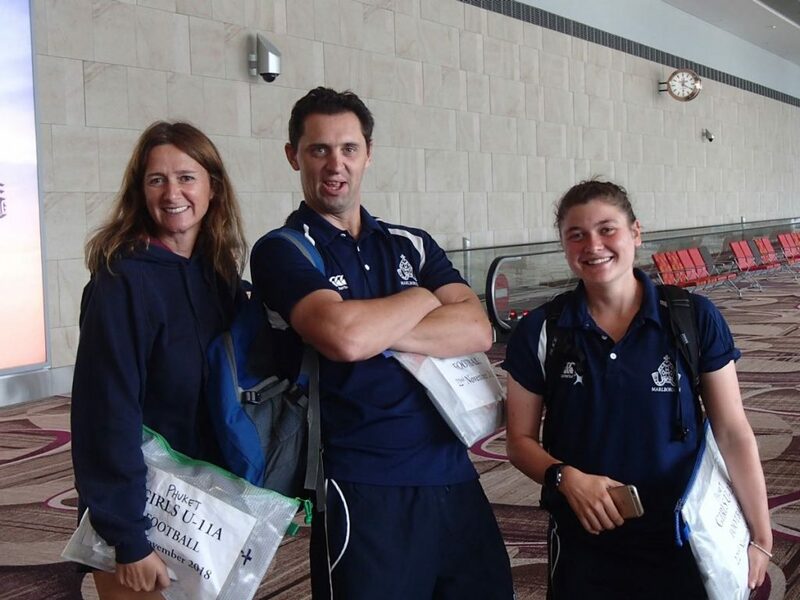 As we boarded the plane to Phuket the excitement was obvious and the nerves started to jangle. 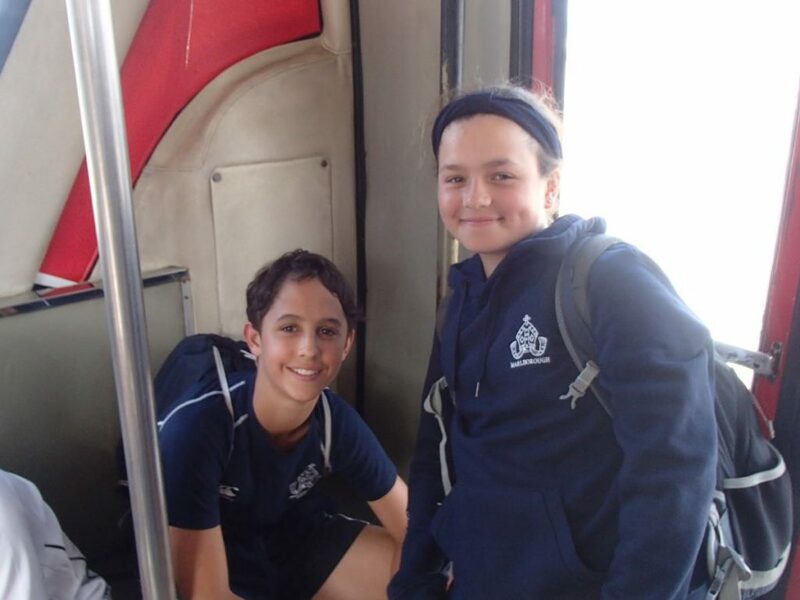 As we arrived at BISP on the morning of the tournament we were anxious to perform. 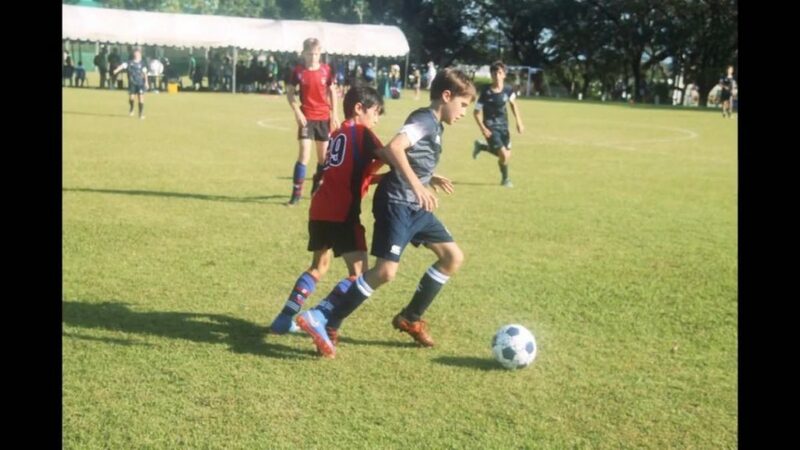 The U11 boys were fresh faced and bushy tailed as they met Shrewsbury House in the first game. 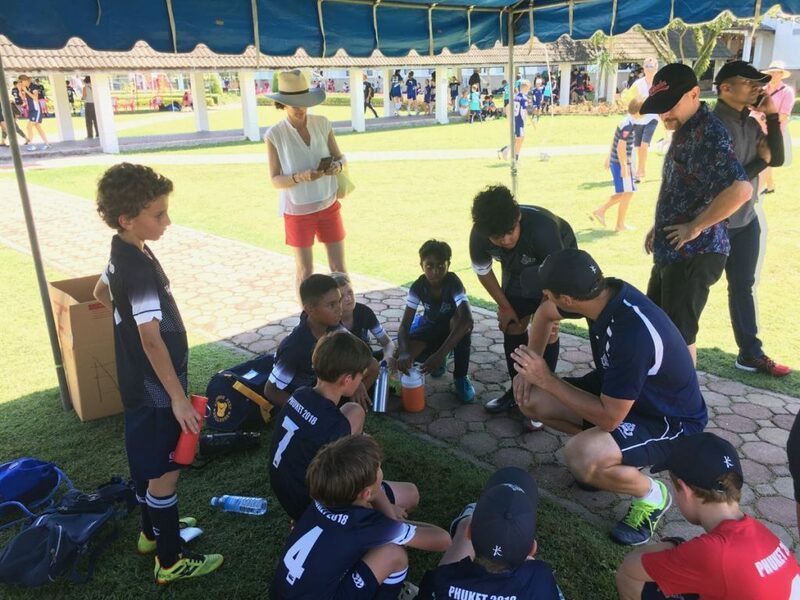 Things didn’t get off to a good start and the boys were 4-0 down by half time. 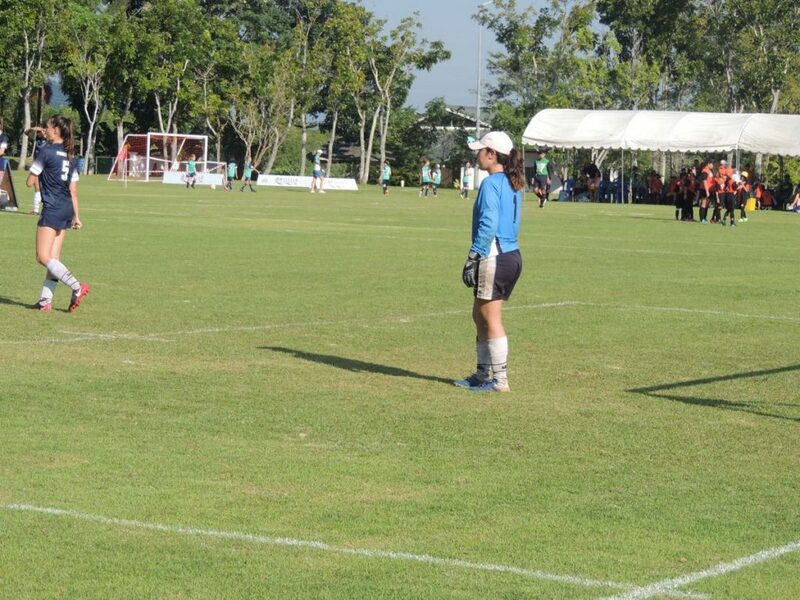 However, they calmed themselves, came out for the second half and drew 0-0 which certainly settled the coach’s nerves. 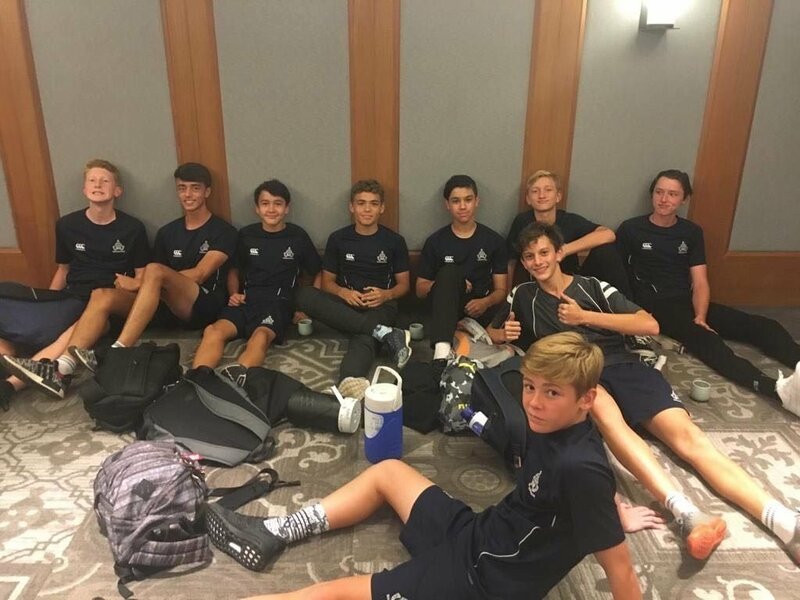 The boys then won two games, 4-0 and 6-1, against weaker opposition to finish the first day on a positive note. 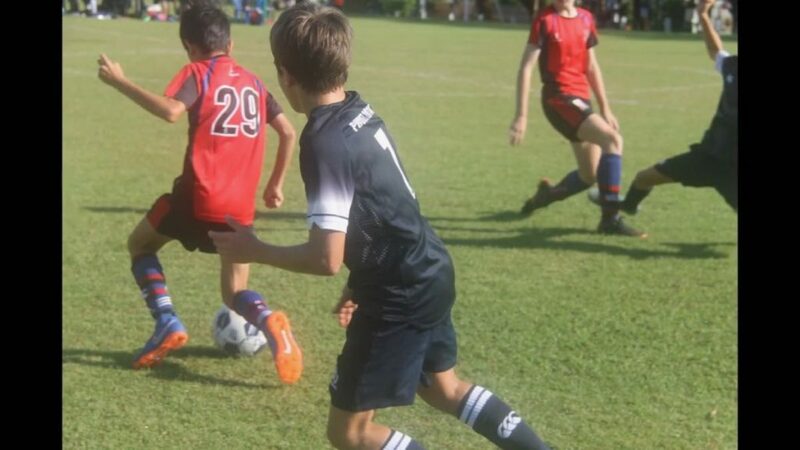 This meant that the final group game was the decider for second and third places in the group. 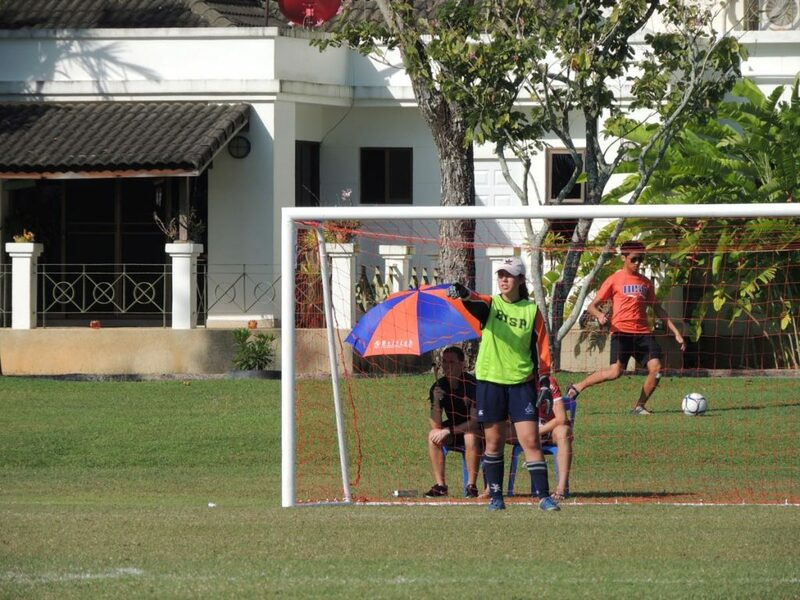 The boys’ new-found confidence shone through as they were 1-0 up at half time, having missed some gilt-edged chances. 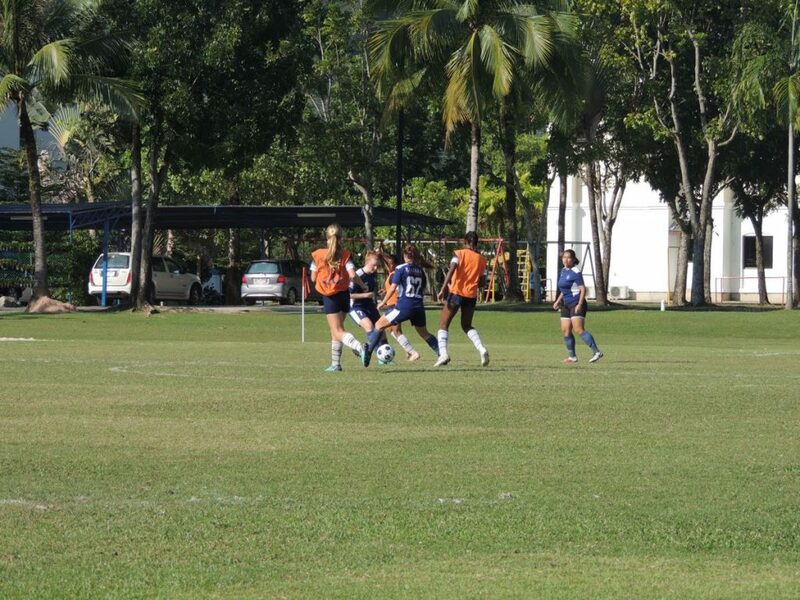 Unfortunately, however, they couldn’t hold on and the opposing side edged past them with the final score 2-1 emerging in the last minute. 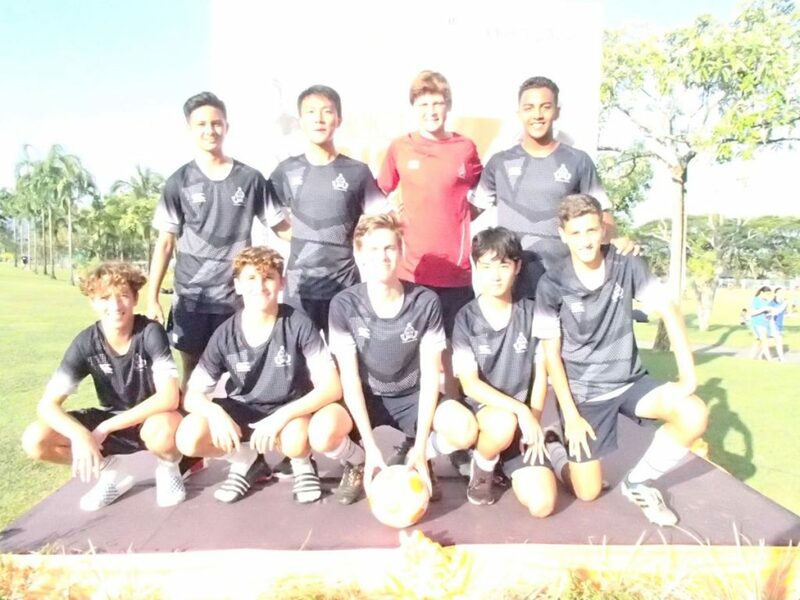 This put MCM into the Plate competition and victories over both Dulwich College Beijing, on penalties, and USIZ led the boys to the final. 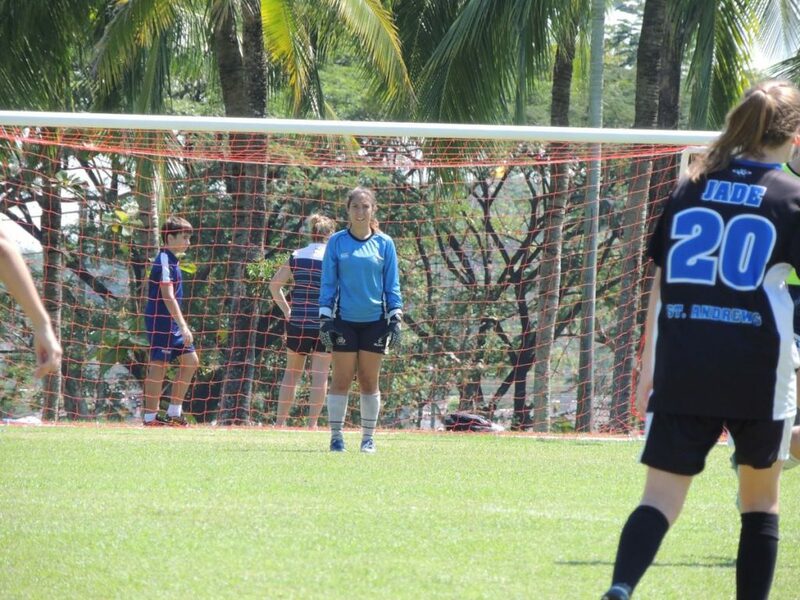 The team performed well in a competitive match yet no one could break the deadlock which took us to a second penalty shoot-out. 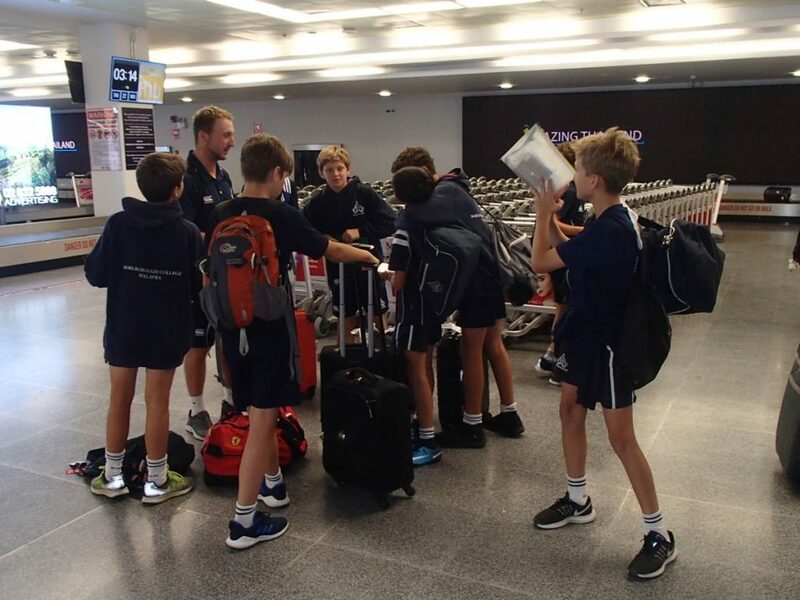 The boys scored in each of their attempts once again which led to the Plate trophy travelling back to MCM. 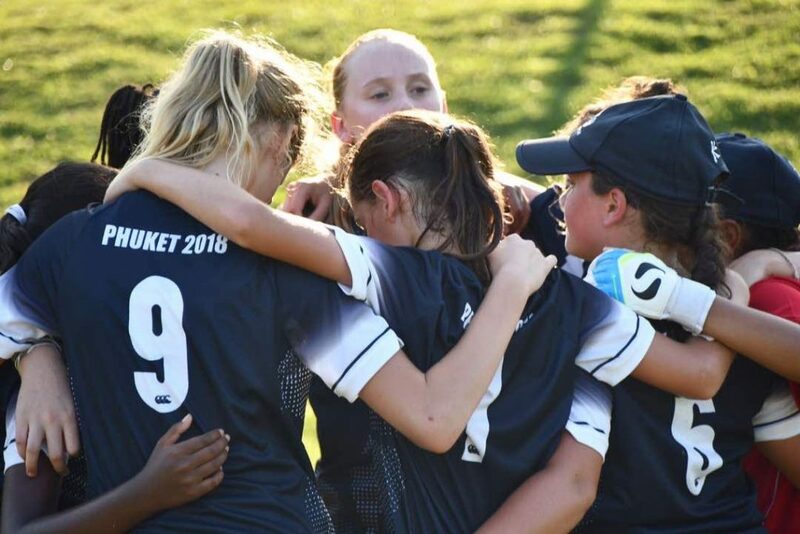 “Nerva-citous” was the U11 girls’ word created to describe their feelings on the first morning of matches; however, despite their butterflies, the girls got off to a blistering start with a resounding 5-0 victory over Stonehill International School from Bangalore. 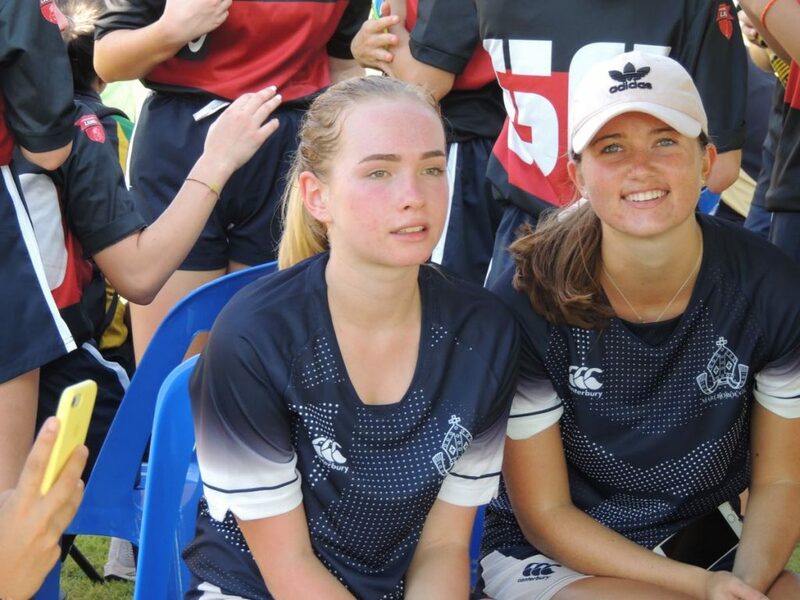 Energised by their win, they went into the next match full of optimism and enthusiasm. 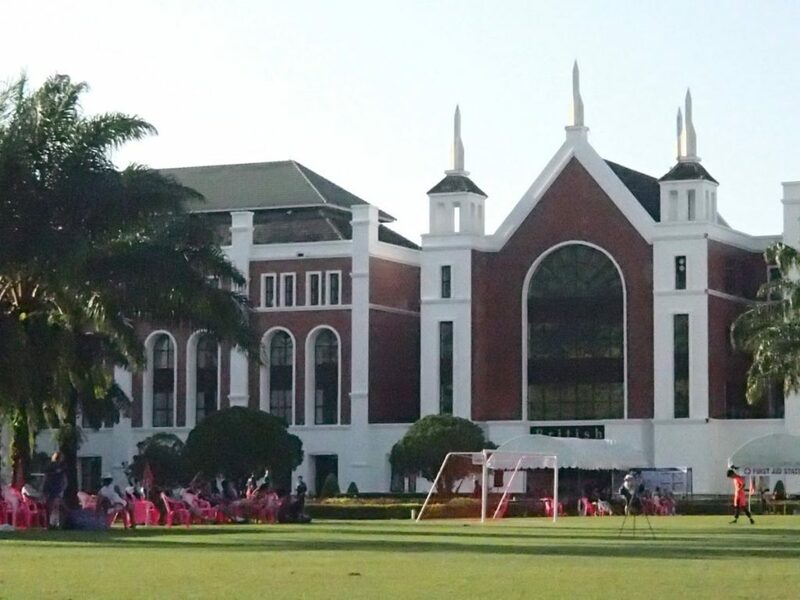 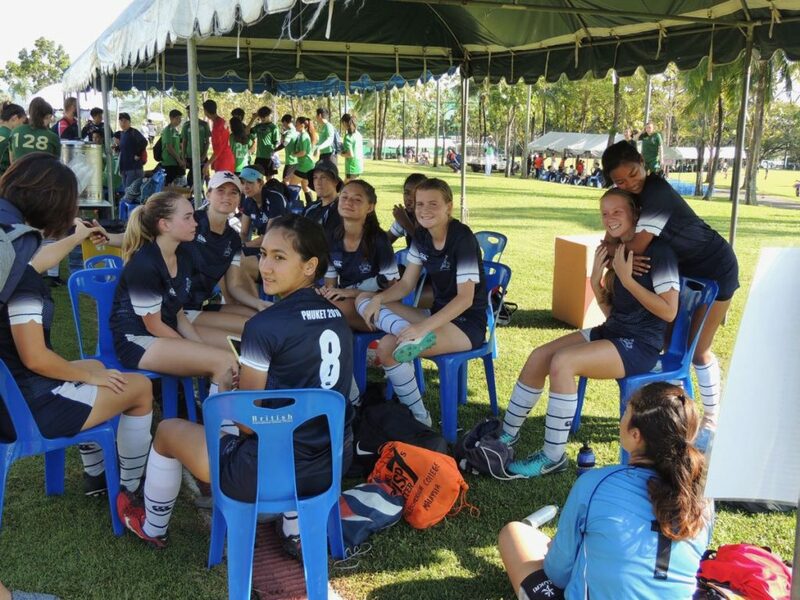 Whilst putting up a good fight, the Bangkok Patana School fielded a stronger team, and MCM lost the second game 5-0. 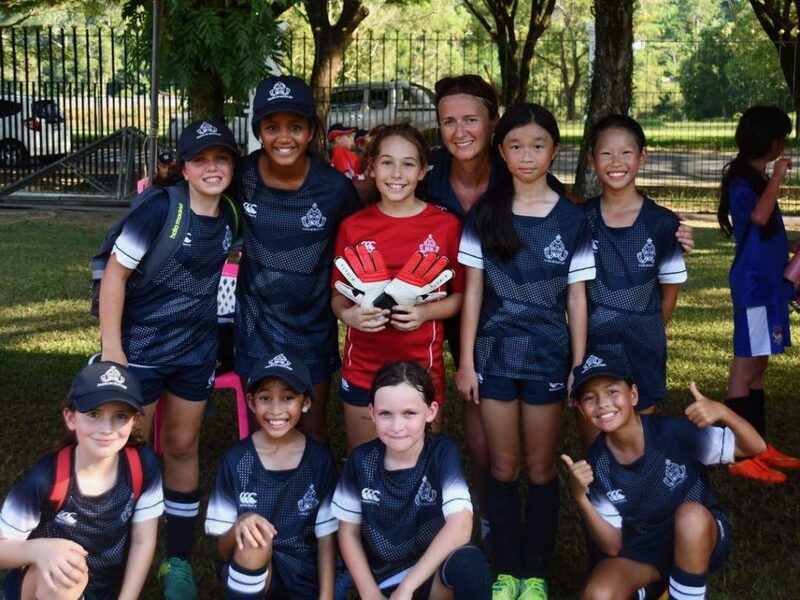 The girls’ last match on Friday was against Dulwich College Beijing, where the girls fired a phenomenal 10 goals past the despairing goalkeeper! 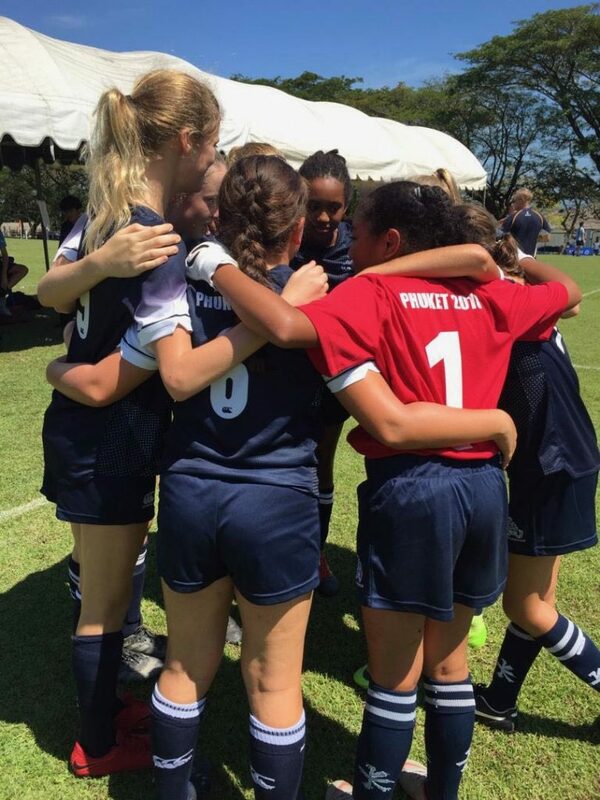 This match left the girls brimming with confidence and ready to face the challenges of the next day. 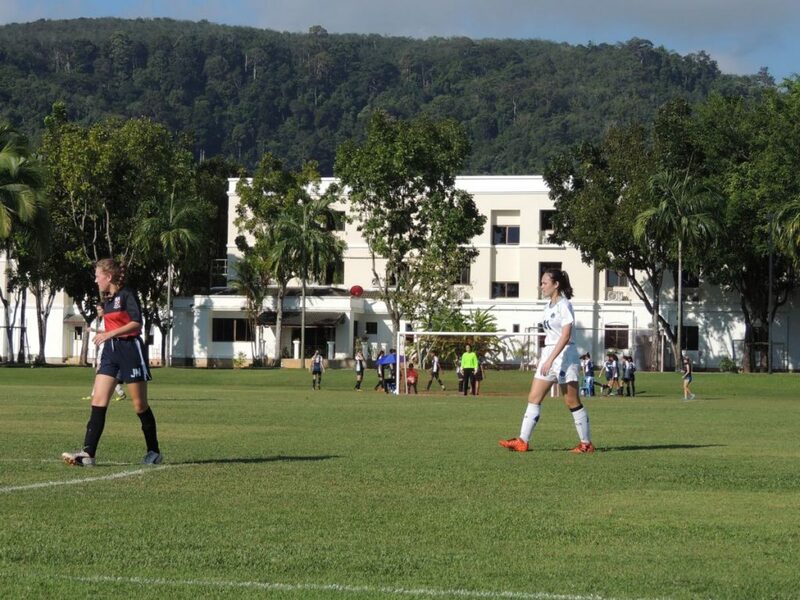 Friday’s first match saw MCM play Tanglin Trust School in the Plate / Cup decider. 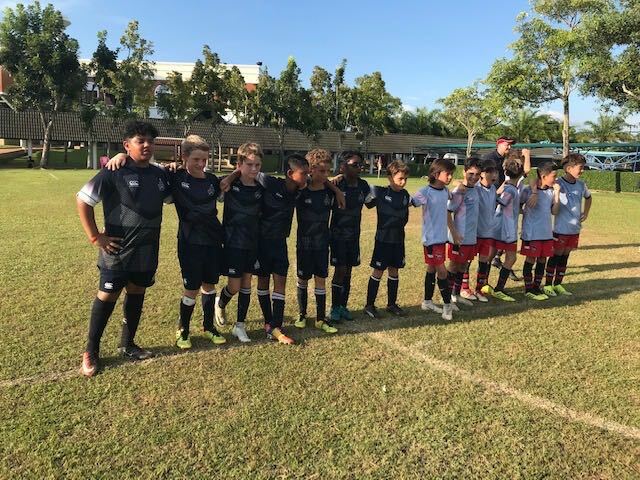 Unfortunately, an early goal from Tanglin Trust School meant that our Singapore rivals took control of the match and beat us 5-0. 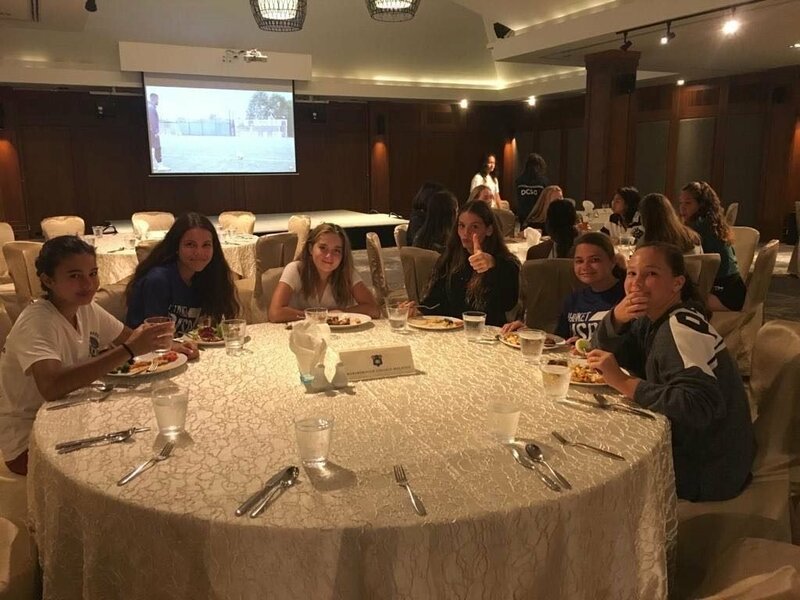 Moving into the Plate playoffs, the team met a strong team from UWC Thailand. 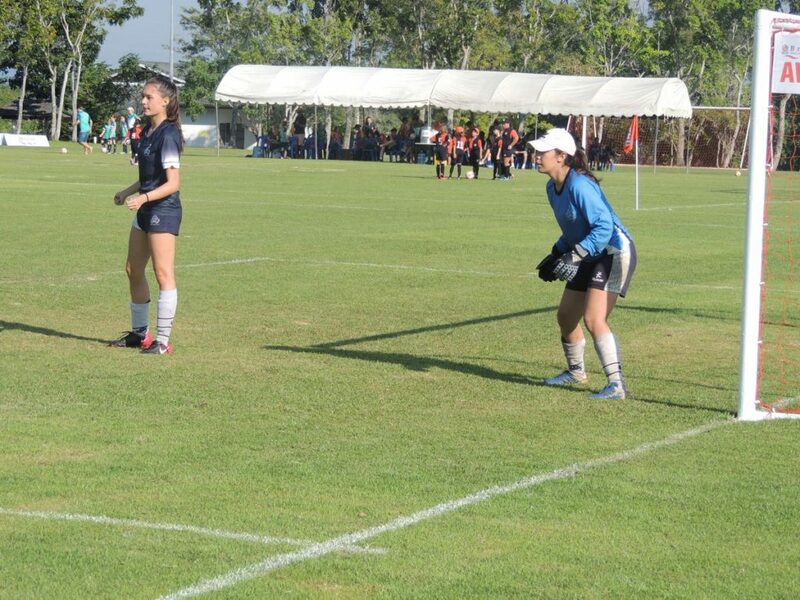 However, MCM’s perseverance paid off and when the whistle blew, MCM had won the game 3-2. 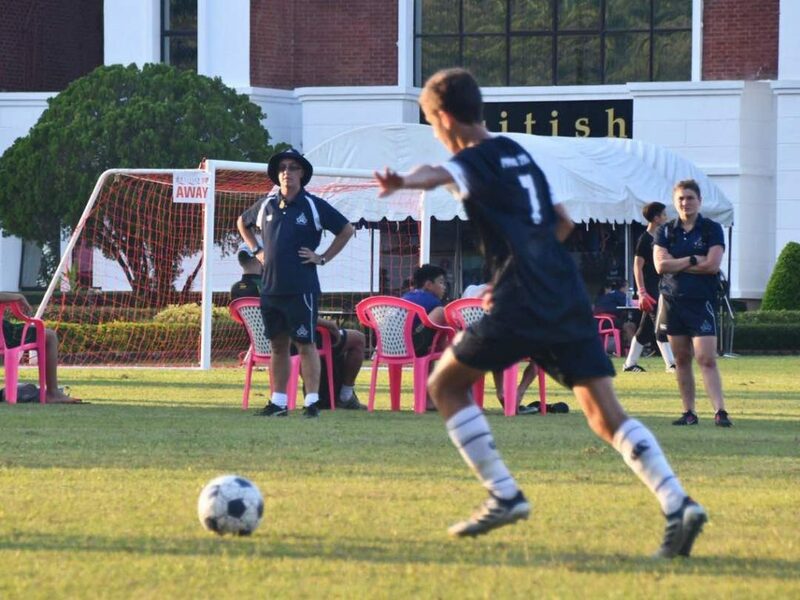 The win had put MCM through to the Plate semi-final facing Dulwich College Shanghai. 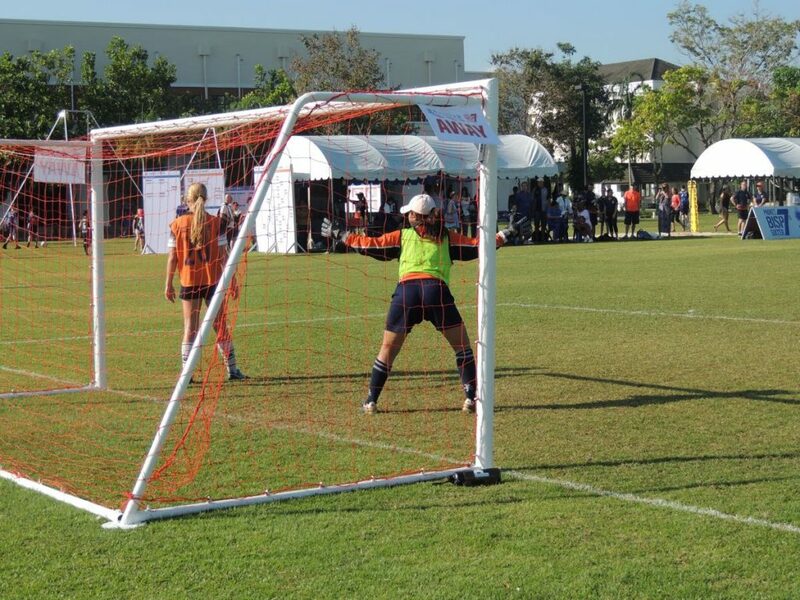 At the end of the game, it was 0-0 which meant only one thing: a penalty shoot-out! 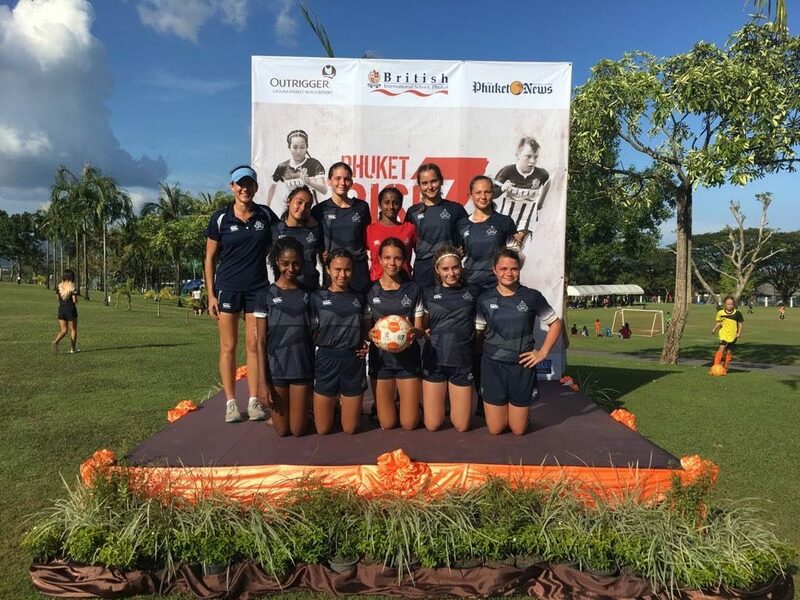 Despite the bravery and accuracy of shooting from the girls, a disallowed penalty meant that Dulwich College Shanghai won 5-4. 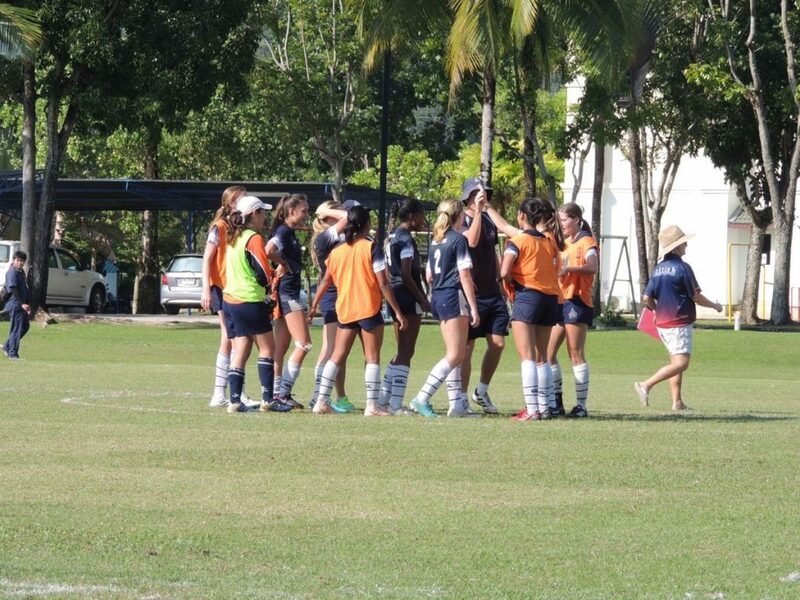 They were through to the final and we were out. 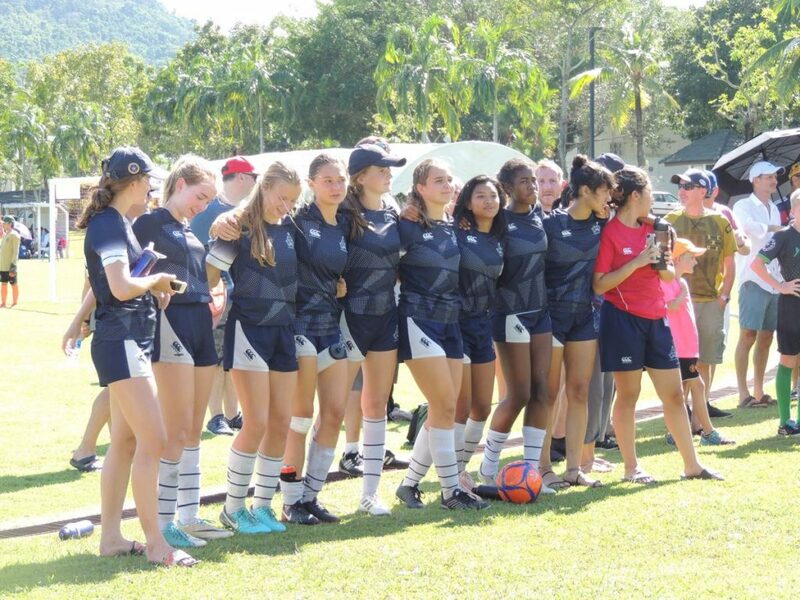 Amazing performances from all the girls – they should all be extremely proud of themselves. 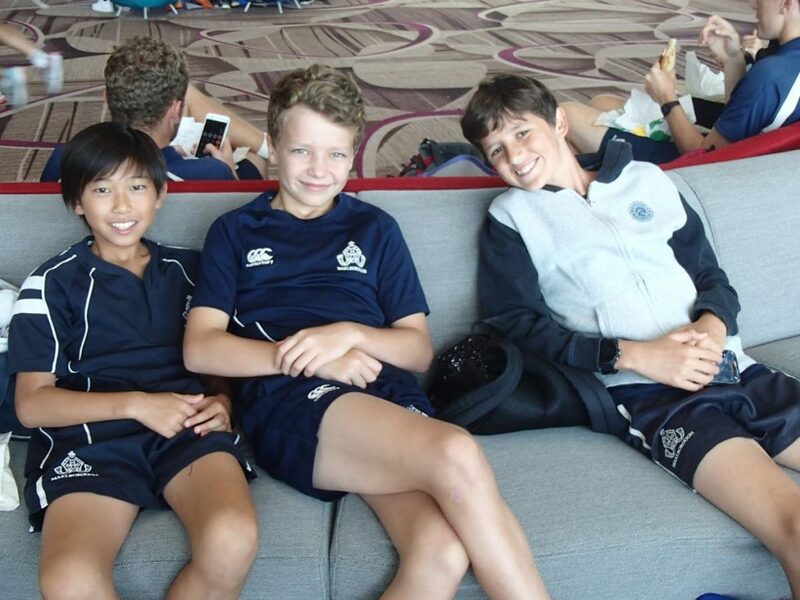 The U13 boys went into the tournament full of optimism. 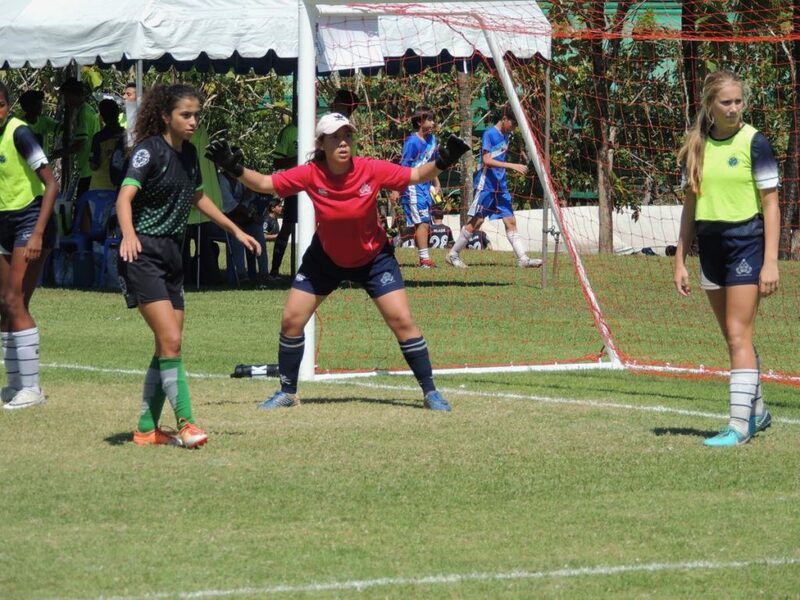 In the first game, they took control, played some good football and began the tournament with a 4-1 win. 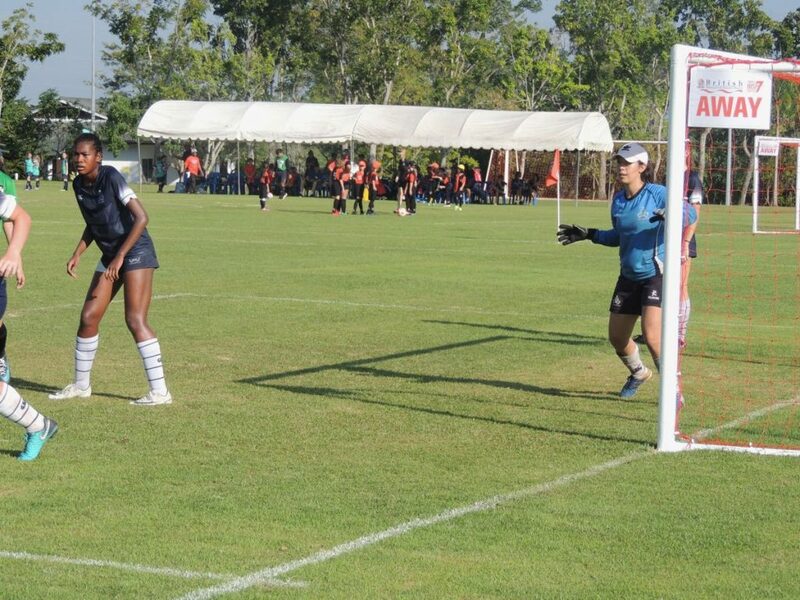 Next up were the hosts BISP, the expected (and eventual) winners of the tournament. 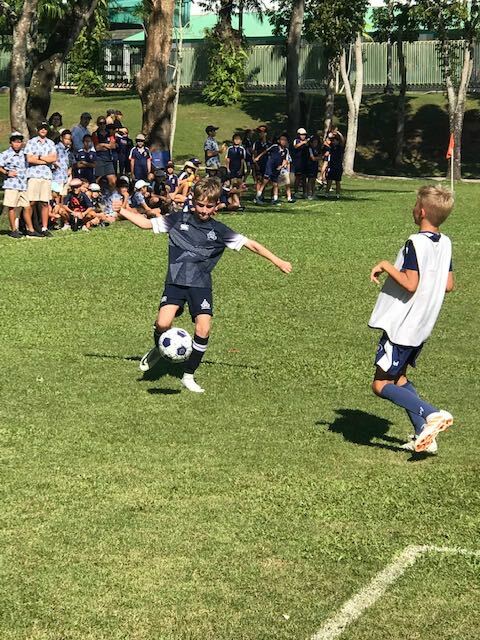 The boys put in their best performance against them and began to believe that they could get something out of the game. 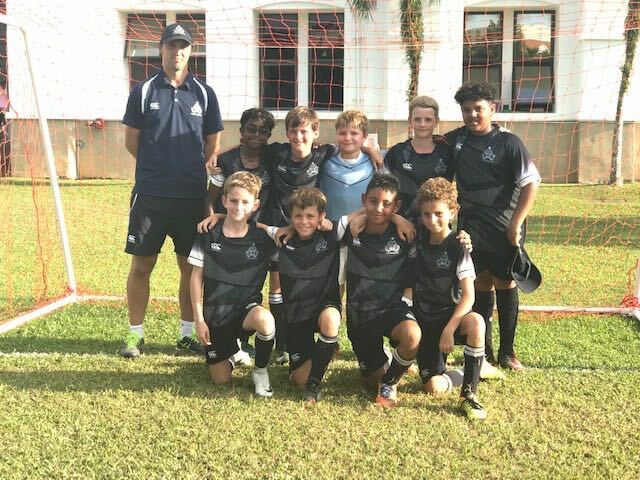 A soft goal midway through the second half meant they lost 0-1, but it takes no credit away from how well the boys played and this was recognised by the whole team, supporting teams and parents. 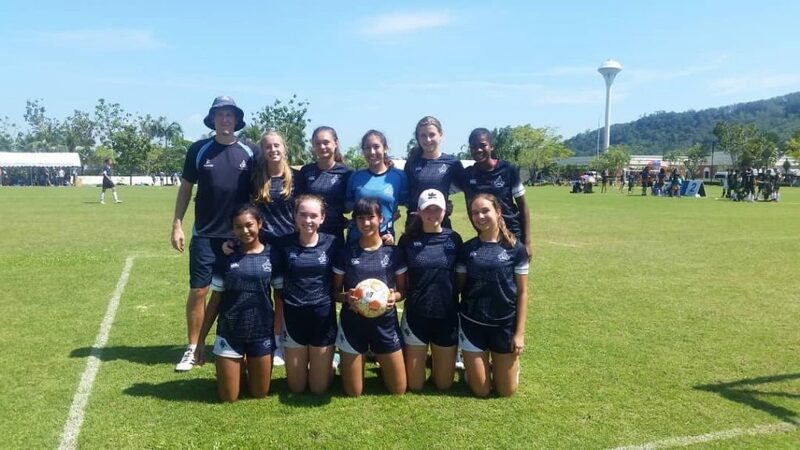 We moved on quickly with a 2-0 win against Harrow, and this put us in second place for the day, in an exceptionally strong position to qualify for the top tier competition. 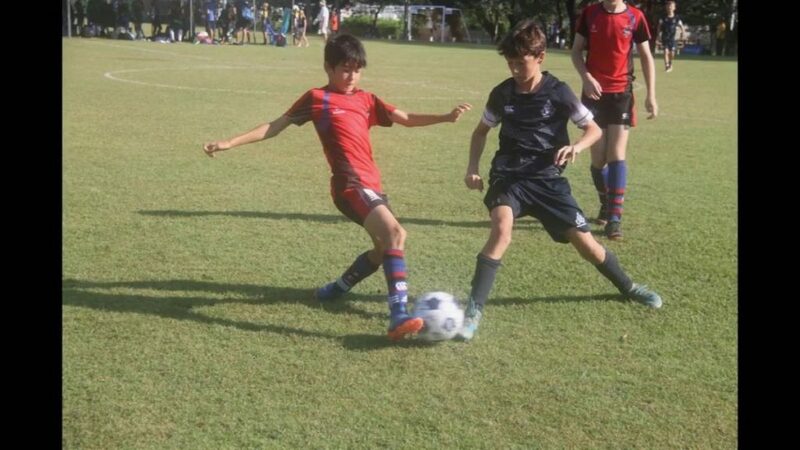 The next day, MCM faced a regular opponent in Dulwich College Singapore. 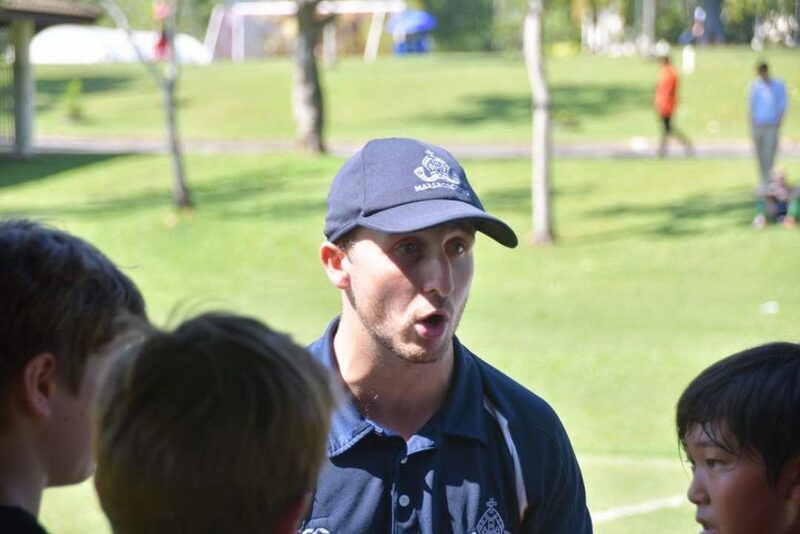 Despite knowing a draw was enough to qualify, a 0-1 victory saw MCM enter the Plate competition. 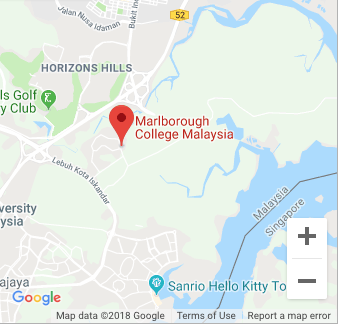 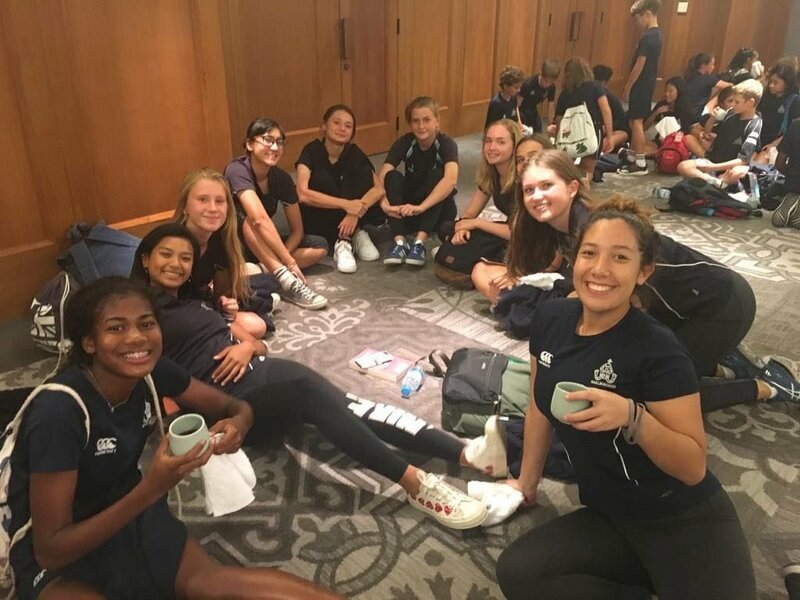 Comfortable back-to-back 4-0 victories against weaker opposition emphasised the difference in class between MCM and opponents in the Plate as we swept through to the final in which we faced Harrow once more. 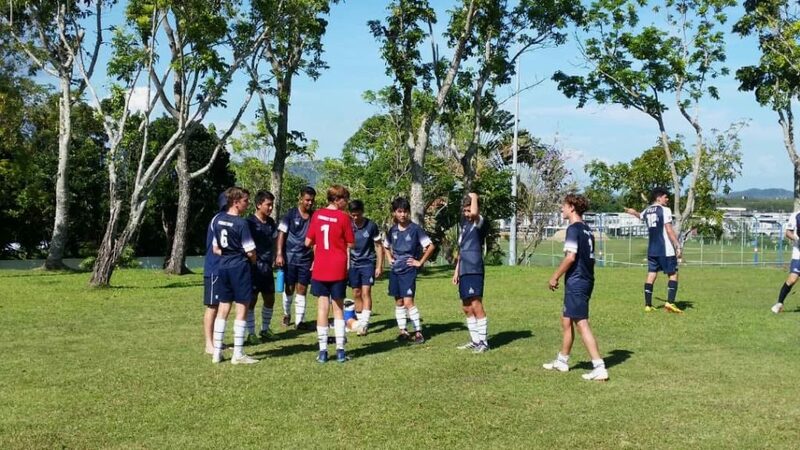 Sadly, the MCM team failed to take its chances and fell foul of a 1-2 defeat. 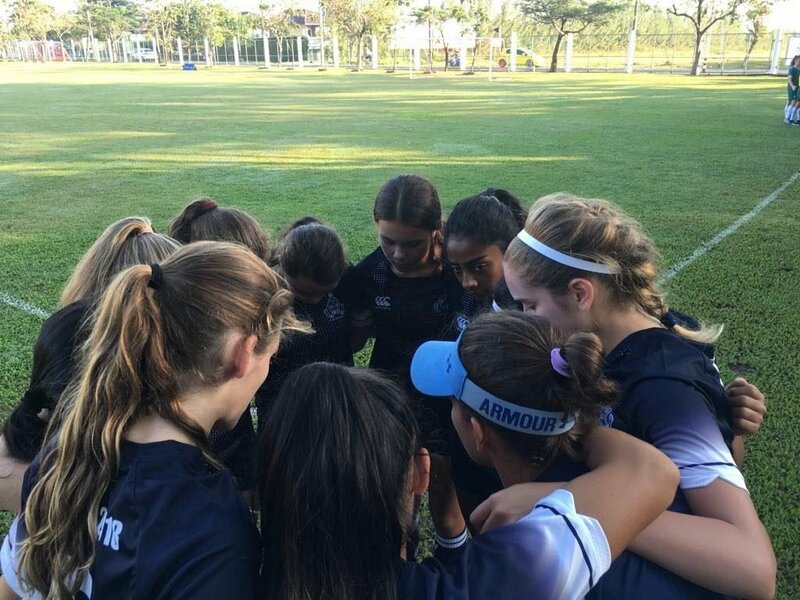 I have always emphasised and will continue to emphasise, the importance of performance over results, and a willingness to play strong opposition is vital in order to properly develop. 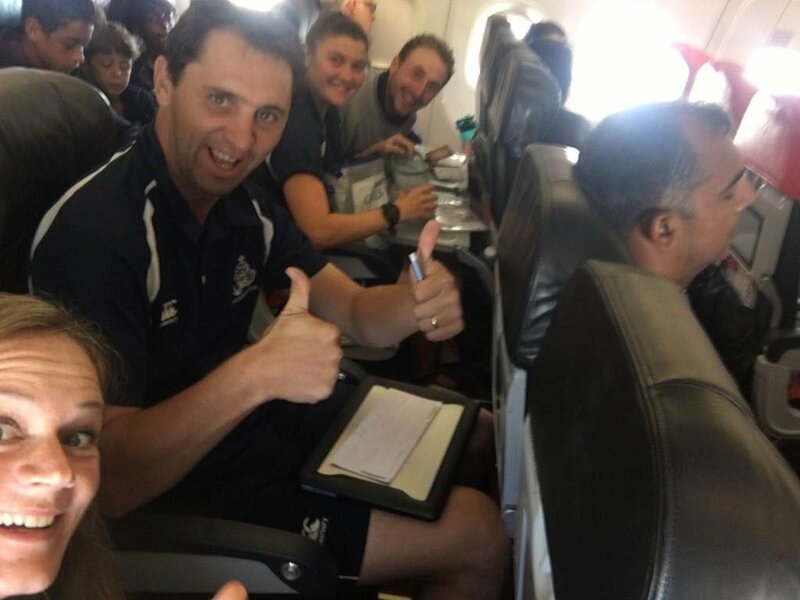 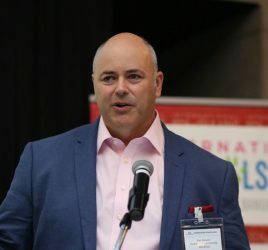 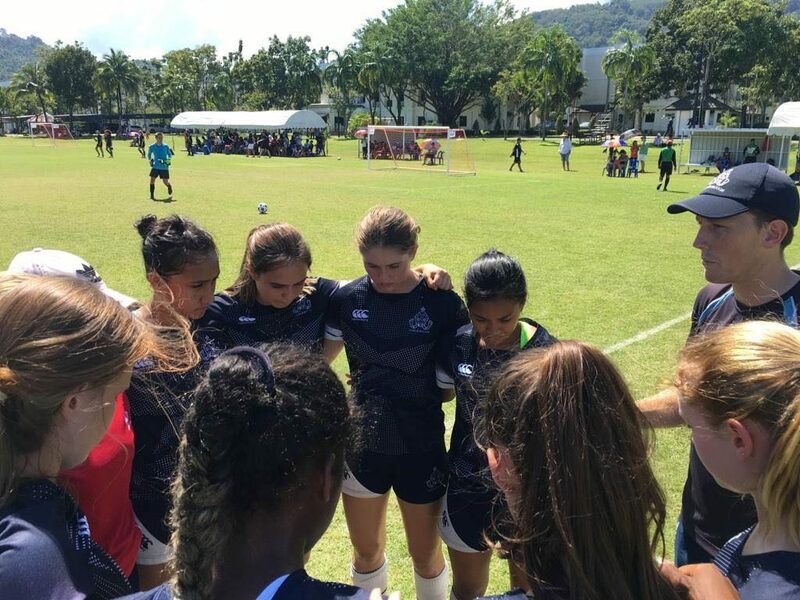 The Harrow coach stated how impressed he was with our team’s dedication to play ‘the right way’, admitting that his team were by no means better, despite the result. 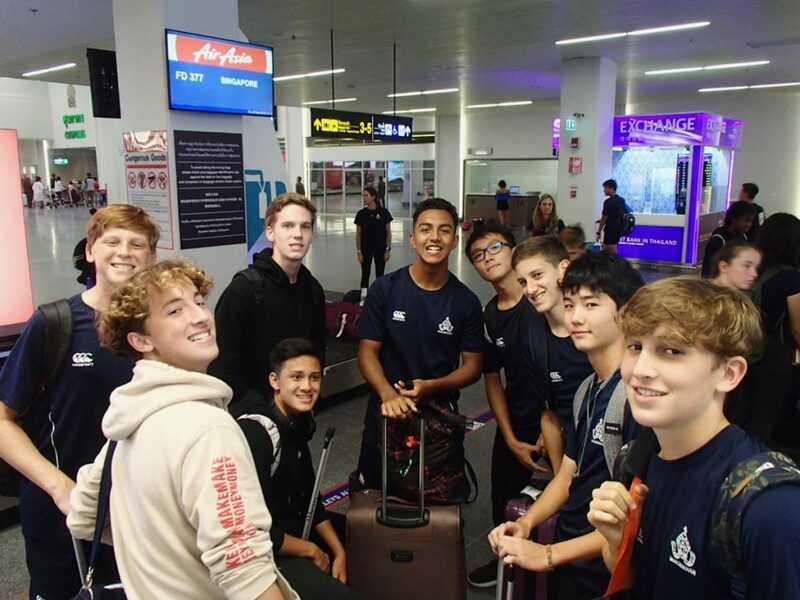 It is tough to take for such a great group of boys, but there are great positives throughout. 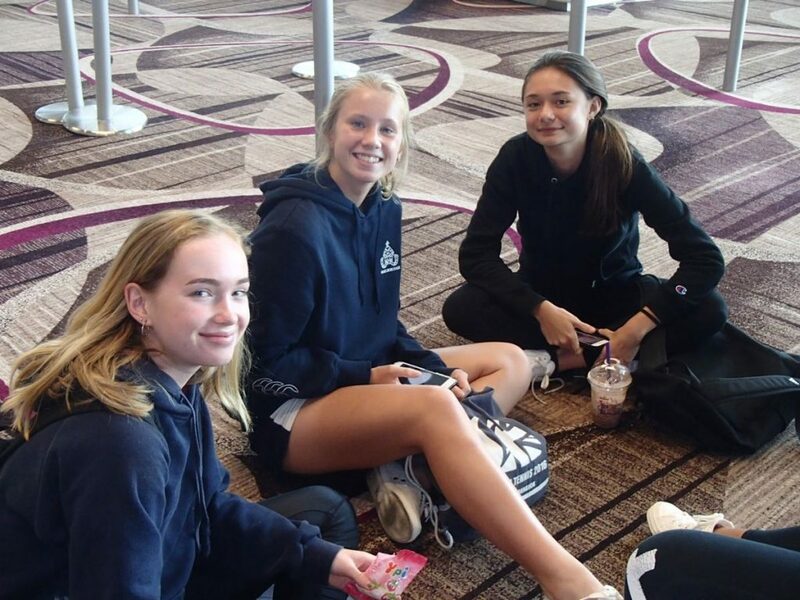 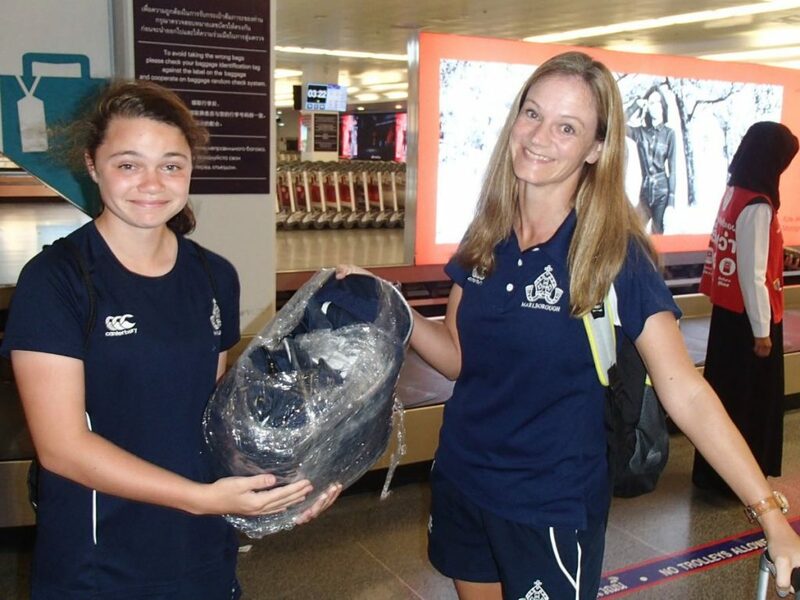 The U13 girls were filled with a mix of excitement and nerves ahead of the tournament. 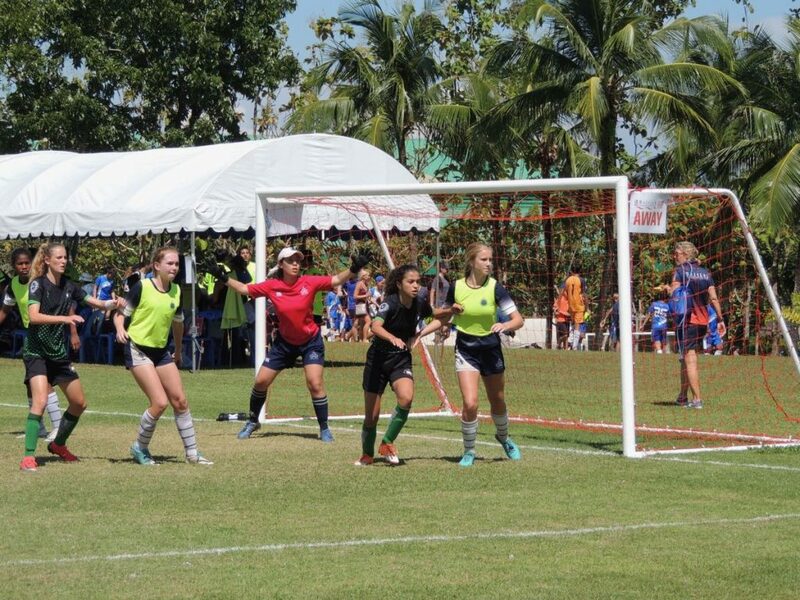 They had six games to play just to get through the group stages and hopefully earn a place in the playoffs. 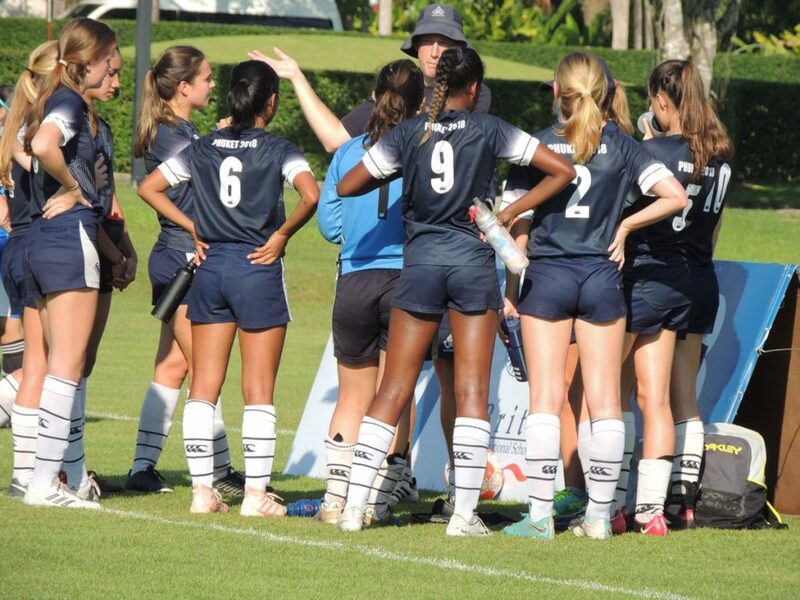 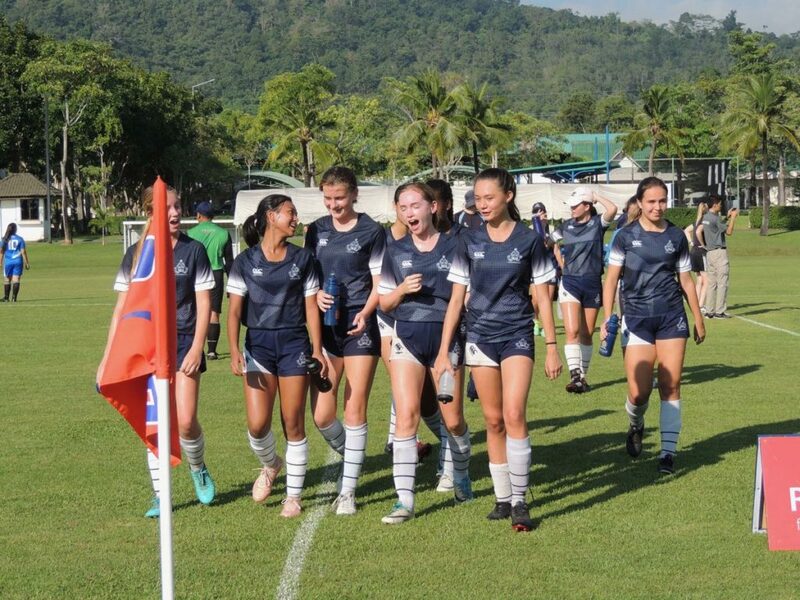 The girls put their nerves aside and had a fantastic start beating the International School of Samui 3-2. 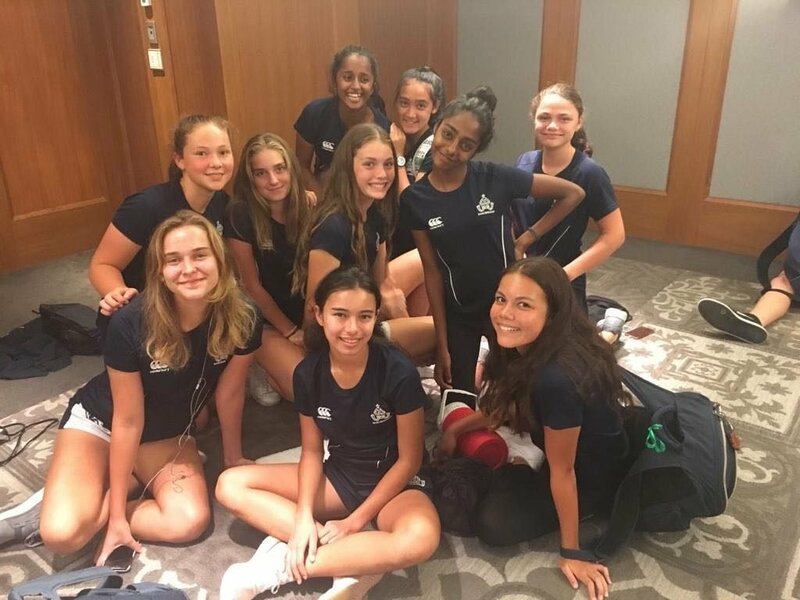 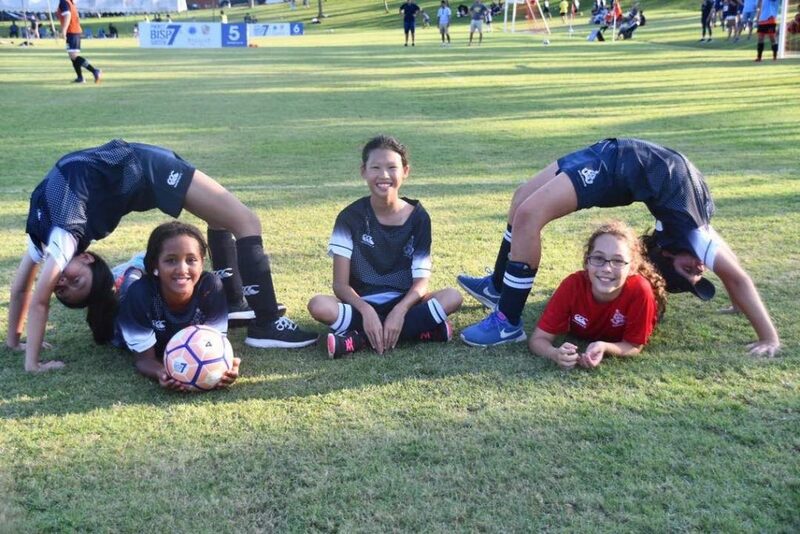 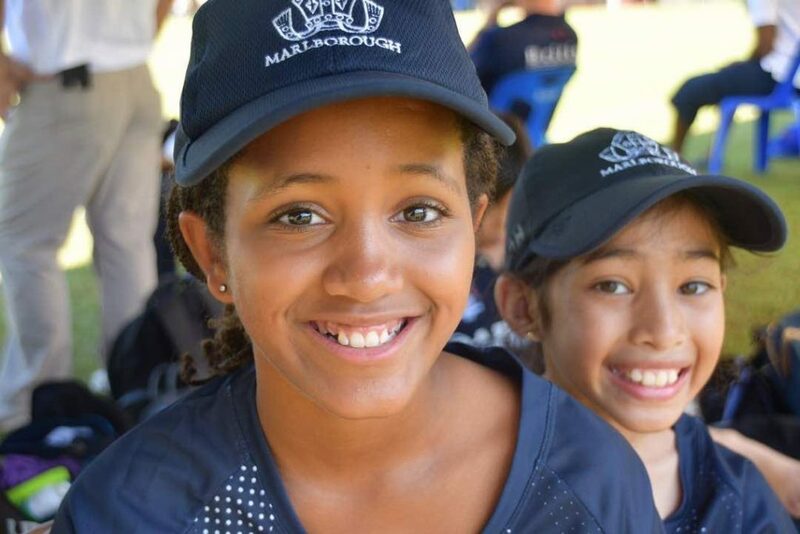 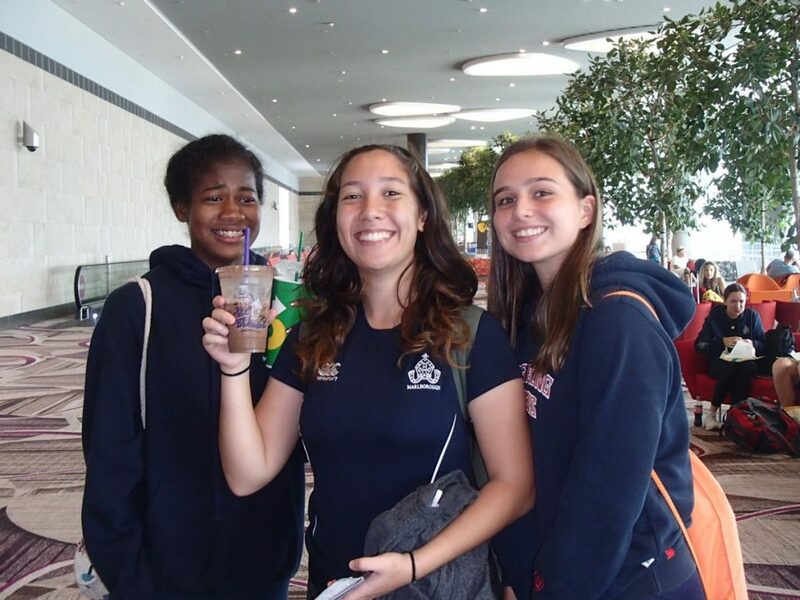 Now with their new found confidence, the girls knew that they had two incredibly tough matches to come, but unfortunately they couldn’t break through the strong defense of Harrow (overall second place winners) or Chadwick International School, resulting in two losses. 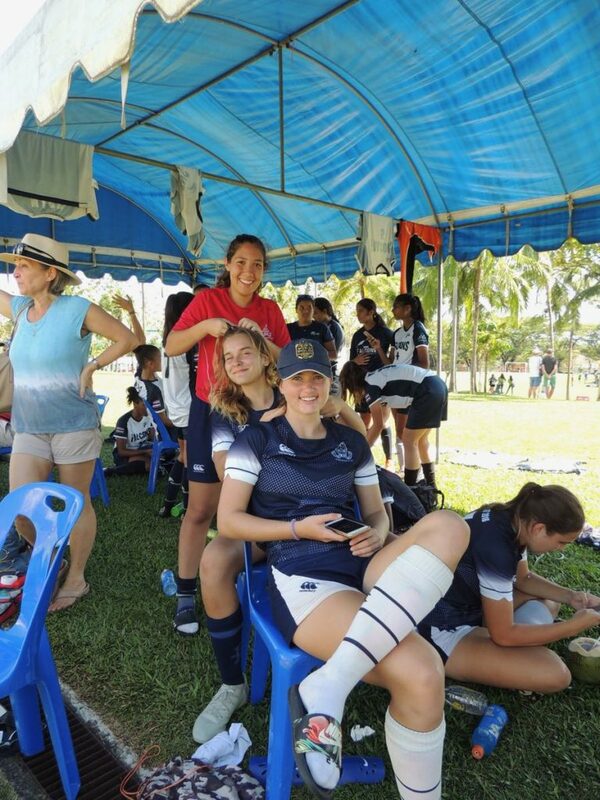 For the final game of the first day, the girls were somewhat disheartened and morale was low. 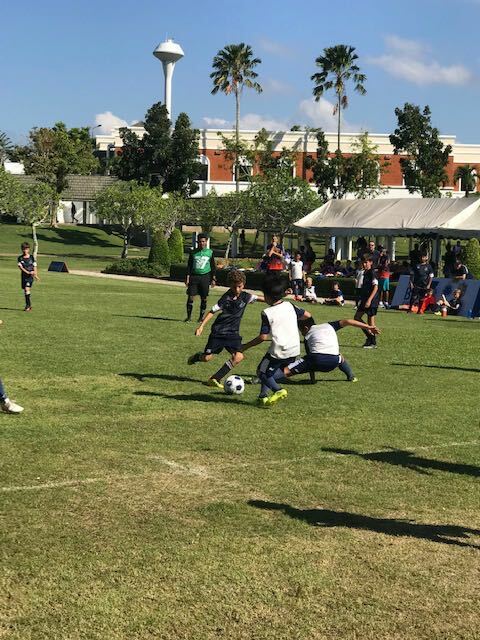 They gave everything they could against St. Andrews Bangkok creating numerous opportunities and shots on target but unfortunately it could not get them past a strong goalkeeper. 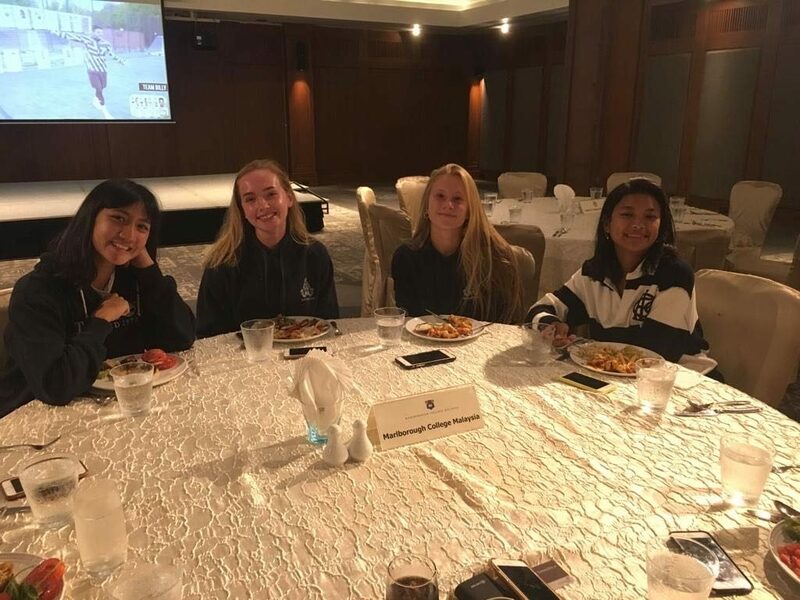 Despite the results, the girls had a good start but disappointing end to the first day leaving them fourth place in their group. 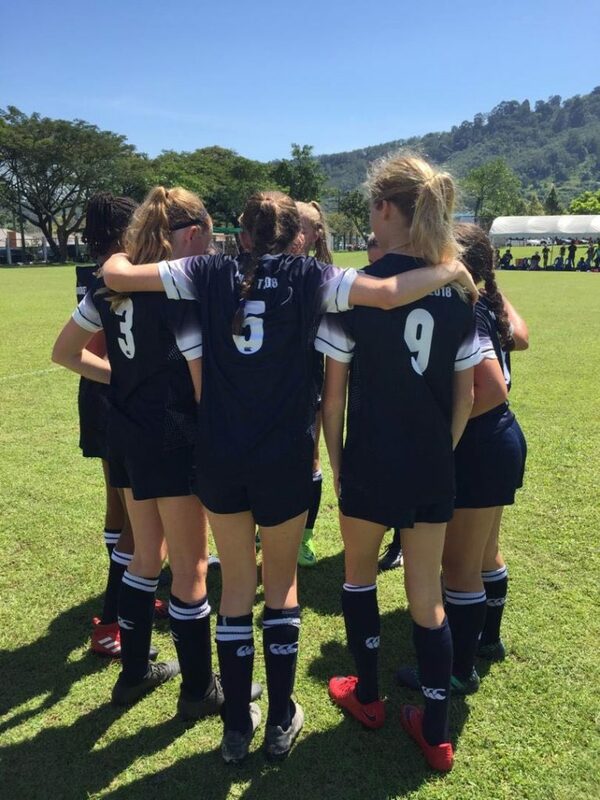 Saturday gave MCM two more matches in the group stages to go and the girls were more determined than ever to play well. 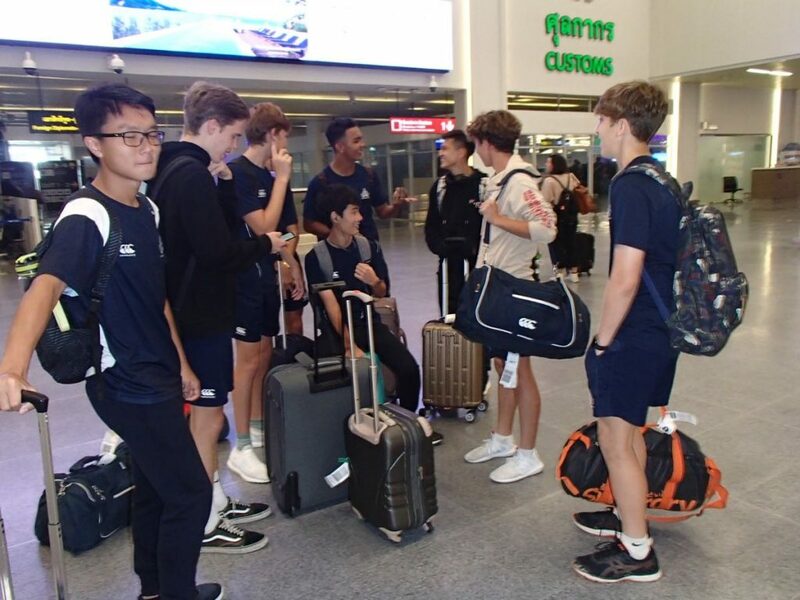 What a flying start it was, and when they beat Dulwich College Beijing 1-0 they knew they had to win or draw their final game to make it through to the Cup. 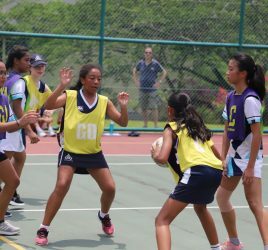 A regular rival in the form of ISKL (eventual Plate winners) presented the girls with what was to be an extremely close game. 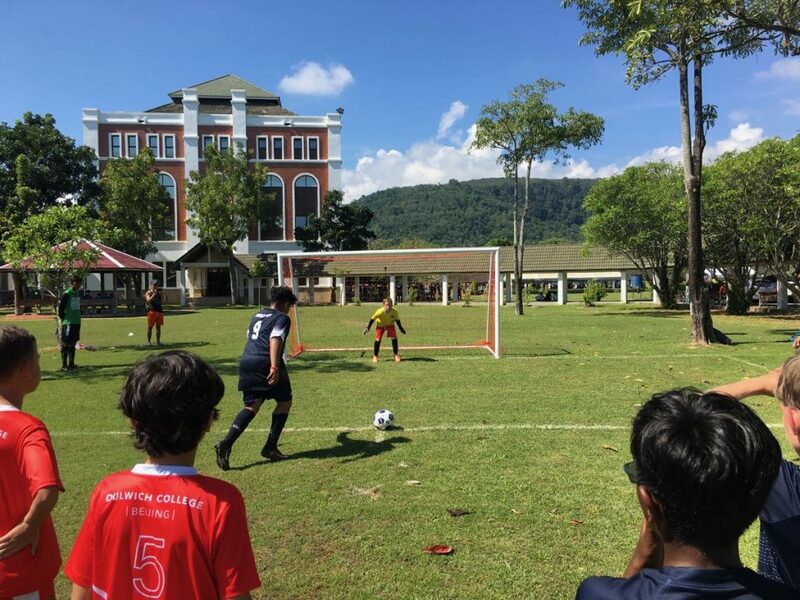 Some fantastic set play, numerous shots on target and great teamwork in what was the U13s’ best match yet, unfortunately, didn’t pay off as ISKL scored right in the last few minutes of the match resulting in MCM finishing fifth in the group. 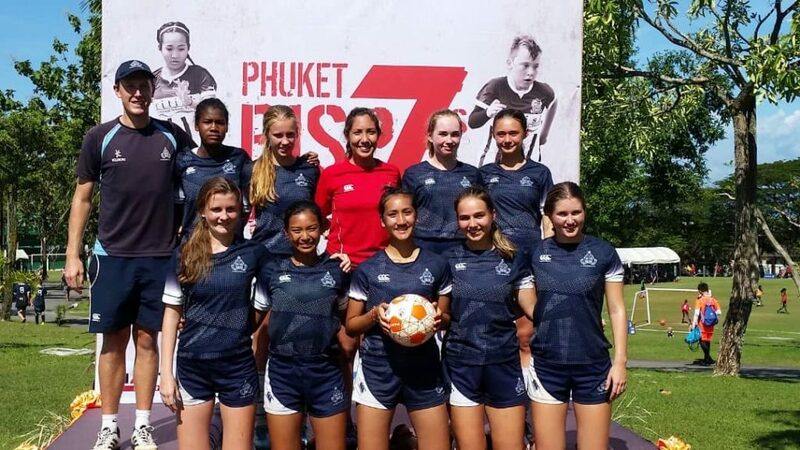 All nine girls played some absolutely outstanding football and worked phenomenally well as a team – it was a weekend they should certainly be proud of. 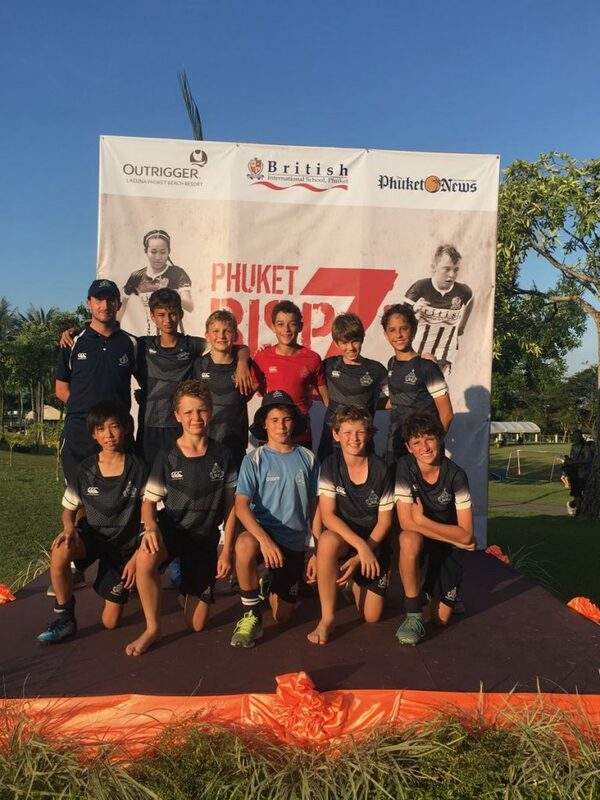 The Under 15 boys went to Phuket having worked hard on their technical and tactical skills and team organisation, hoping to perform in the largest football tournament in South East Asia. 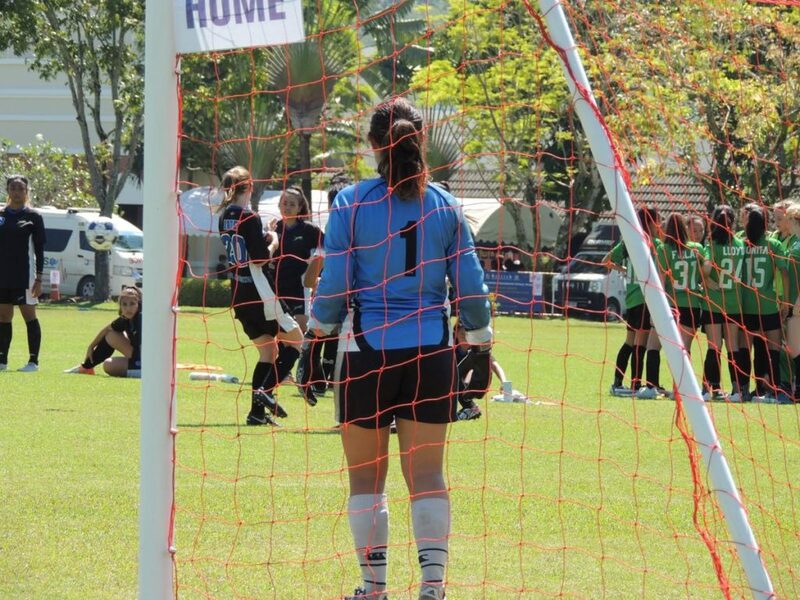 Unfortunately, due to a few unlucky goals and decisions, it was not meant to be. 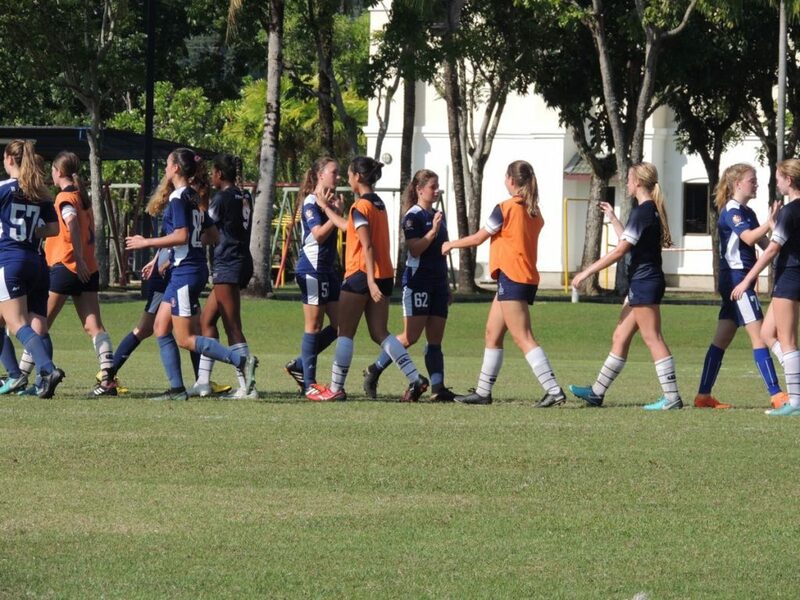 The U15s started off their campaign with a 1-0 victory over Sultan’s School. 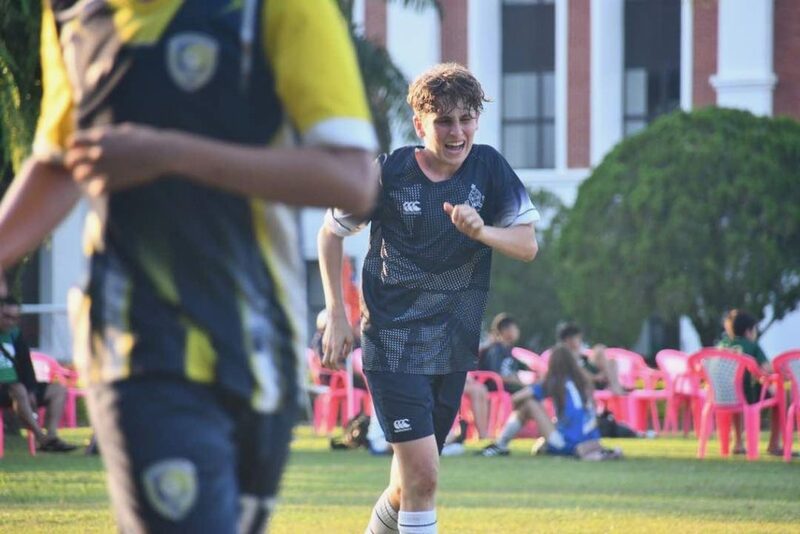 A late run from William Roue, beating several defenders to finish bottom corner, saw the U15 boys get off to a great start on Friday. 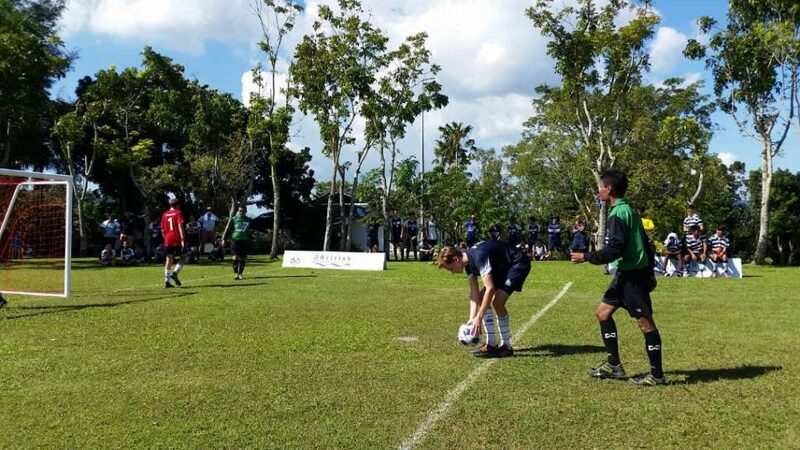 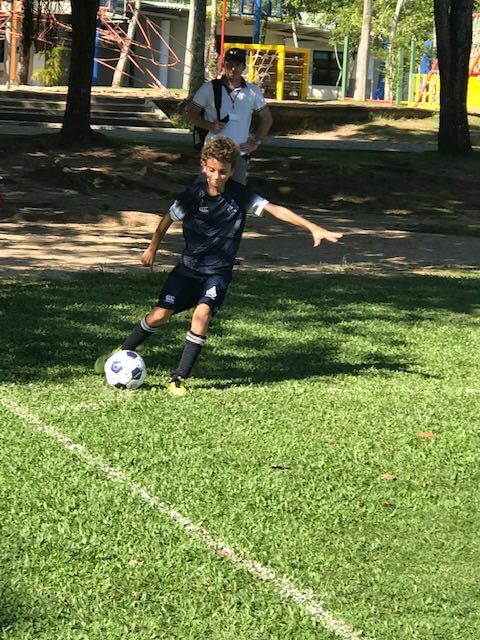 In their second game, however, they came up against the eventual winners of the competition, BISPO, and they struggled to keep up with the pace ending the first half 4-0 down. 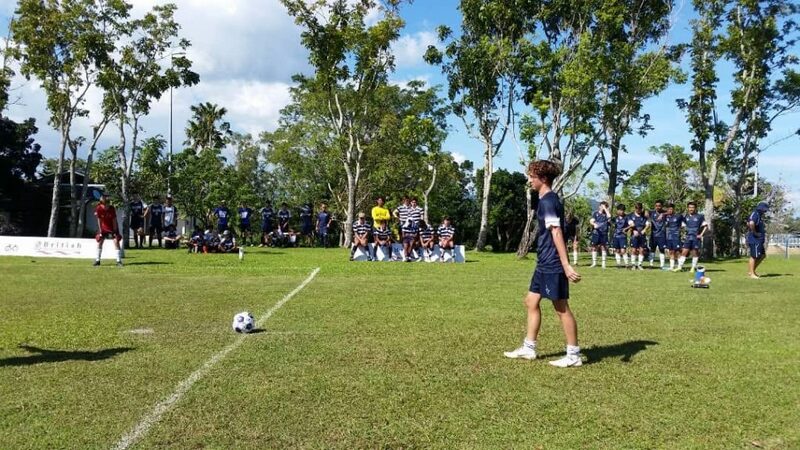 However, due to a very good individual performance by Markus Medcraft, they managed to hold BISPO back for the rest of the game, eventually losing by 6-0. 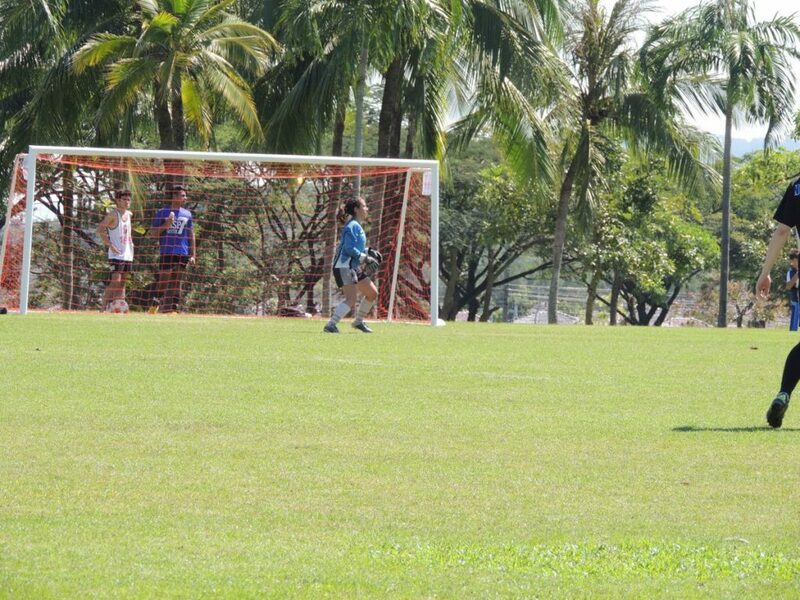 In the last game against ISKL, the team started well with a place in the Cup competition still possible. 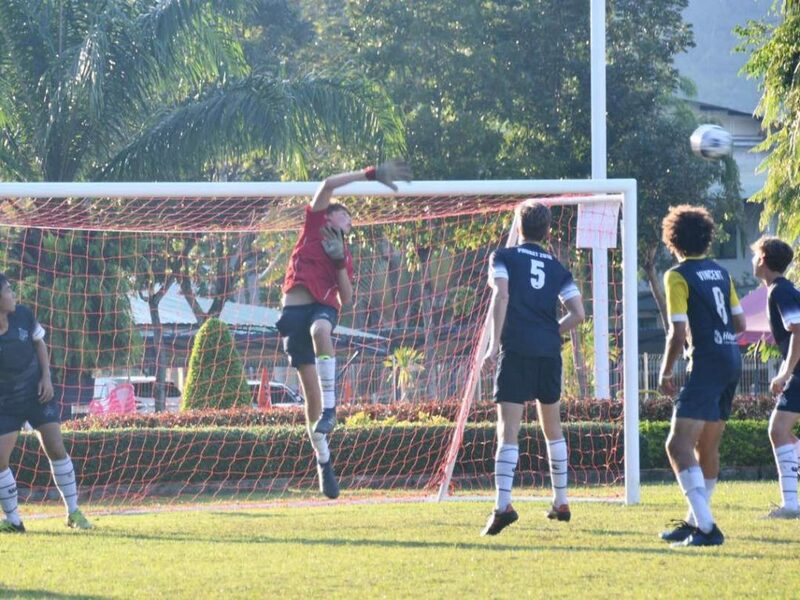 A half-time score of 1-1 left the game in the balance with an excellent top corner finish from John Ascough. 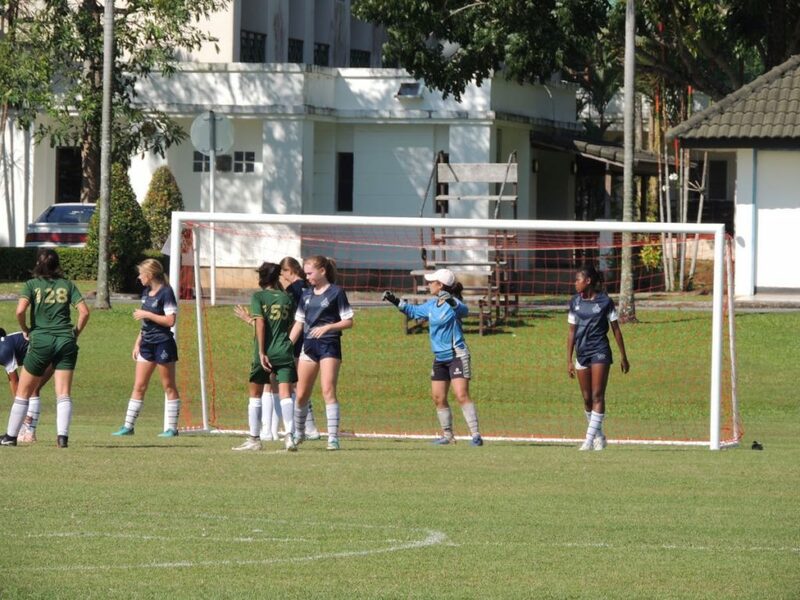 Unfortunately, ISKL scored a well-worked goal to finish 2-1 victors. 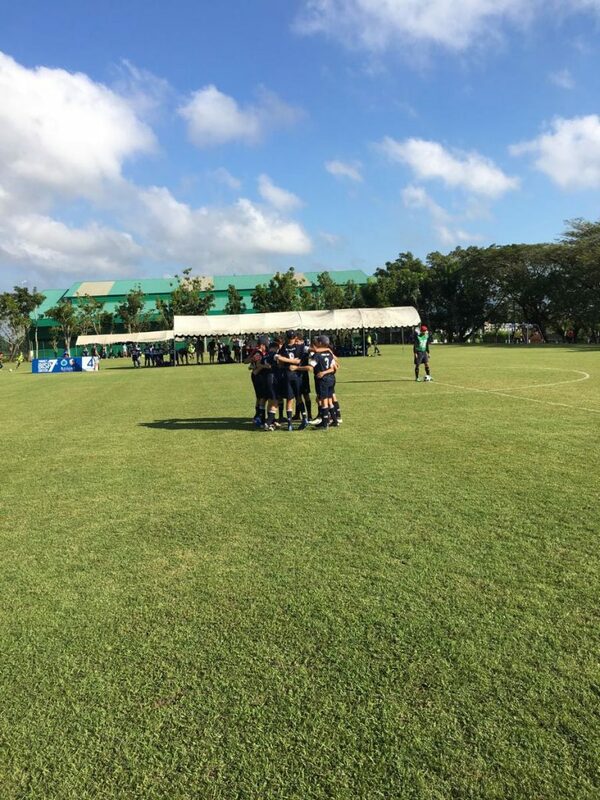 In the knock-out stages of the tournament on Saturday the team came with a fresh mindset, eager to progress with a Cup playoff game. 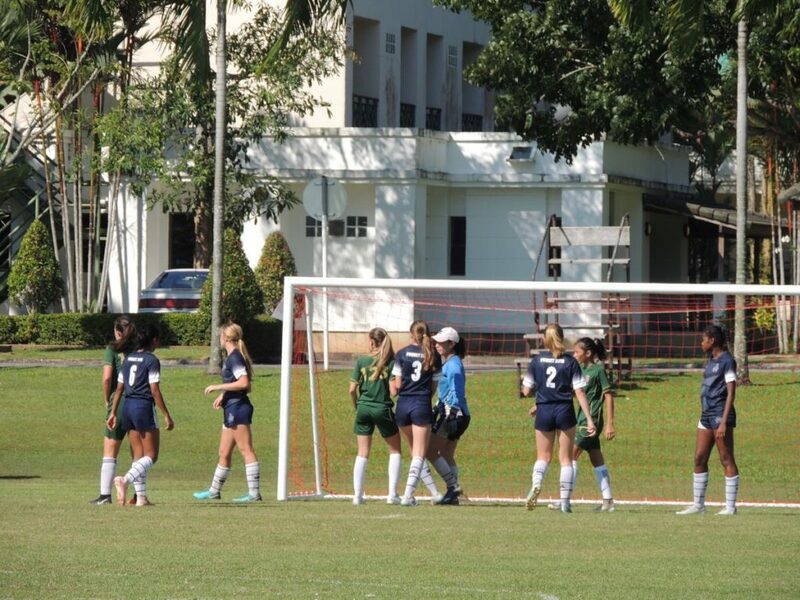 The team started well against Dulwich College Seoul with a 2-1 lead at half-time. 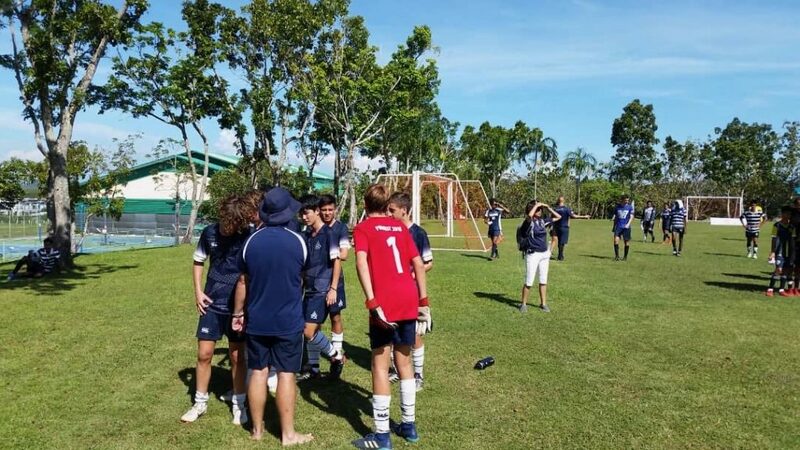 An excellent individual finish from Santiago Cifuentes Pinzon and a well-worked team goal finished off superbly by John Ascough gave Marlborough the lead. 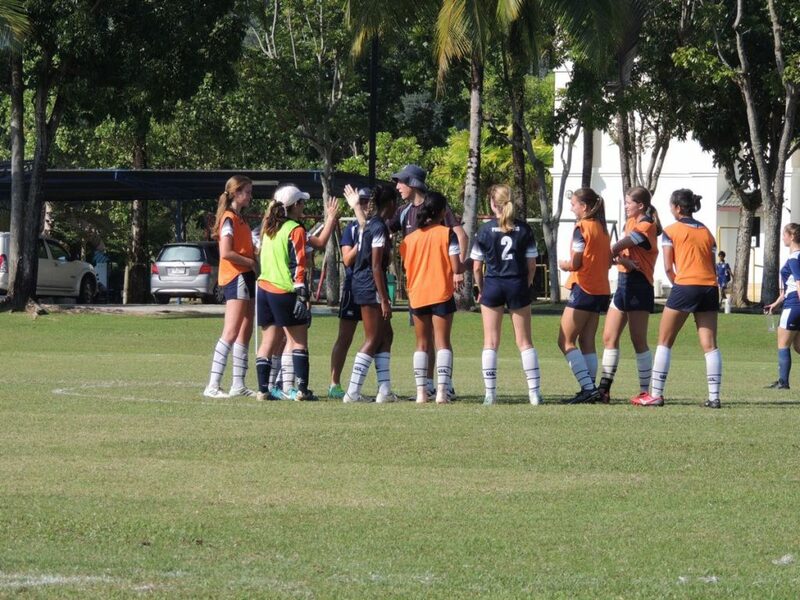 It was a tough and physical second half with end-to-end opportunities. 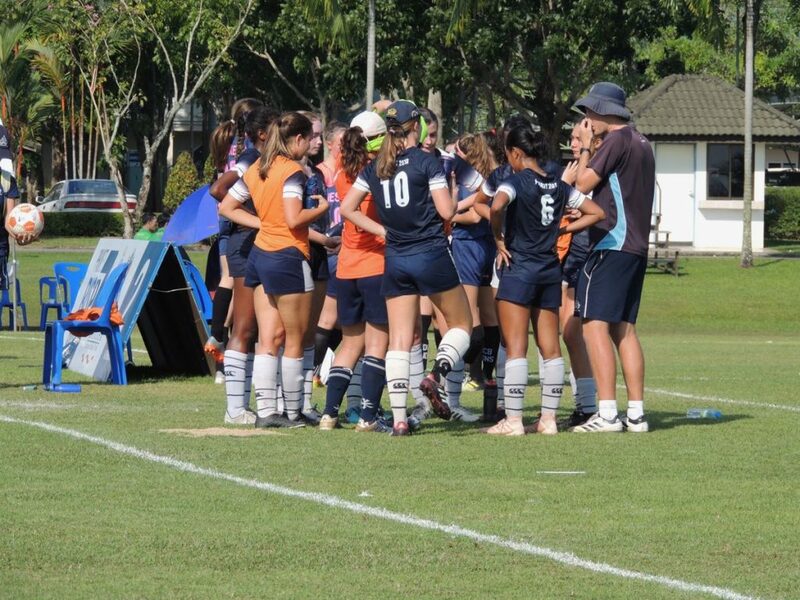 In the final moments of the game, Dulwich sneaked two late goals to finish with a 3-2 victory. 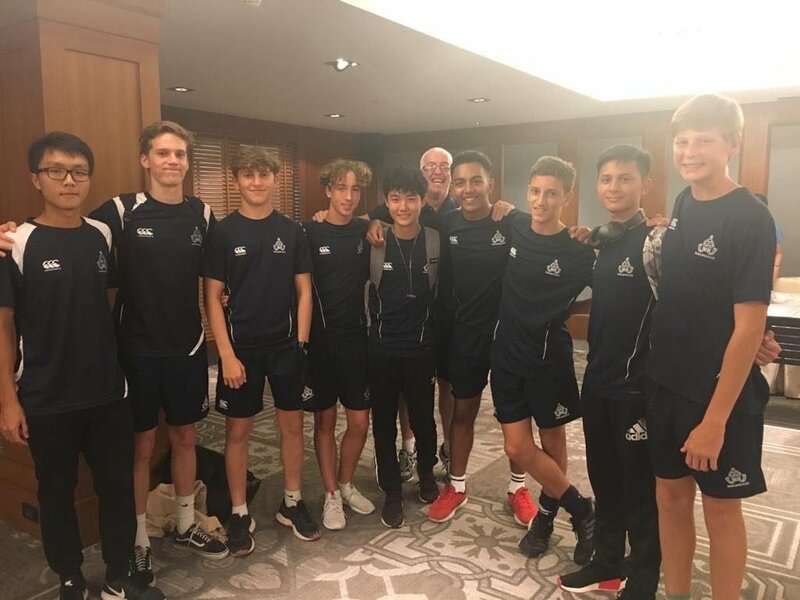 In order to keep the U15s hopes alive, they needed to beat Epsom College to progress through the semi-finals of the Plate. 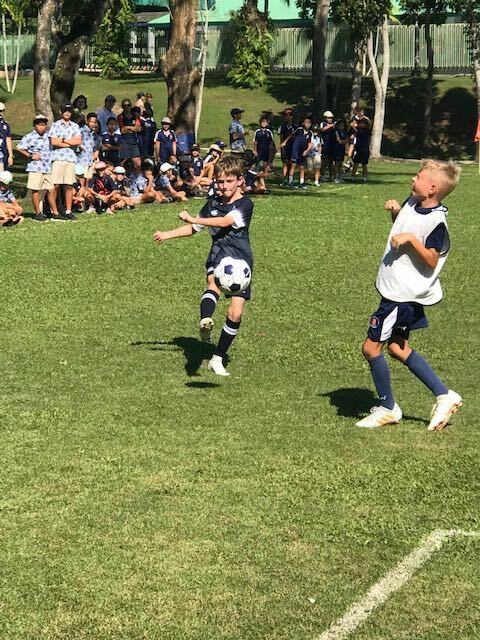 However, after hitting the crossbar and posts on three separate occasions, it was evident that the day was not going to end favourably for the boys. 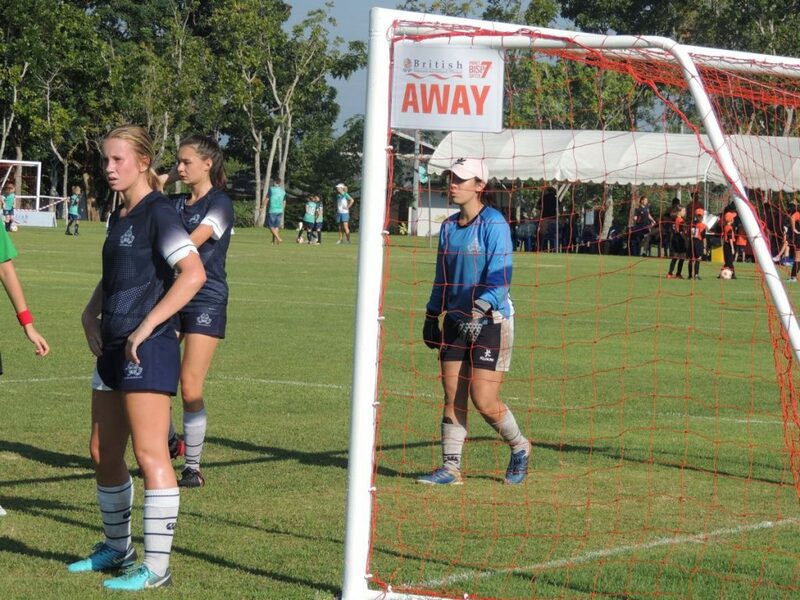 A lucky breakaway goal by Epsom College and a dubious challenge in the box meant that unfortunately, the day ended with a 1-0 loss. 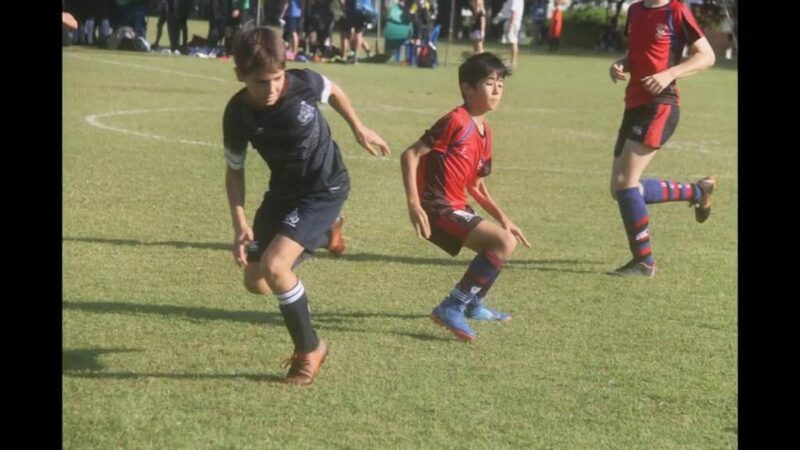 Special mentions should go to Santiago Cifuentes Pinzon for his abilities on the left wing and to John Ascough who was awarded ‘Players’ Player’ of the tournament for his constant energy, work ethic and his two individual goals scored. 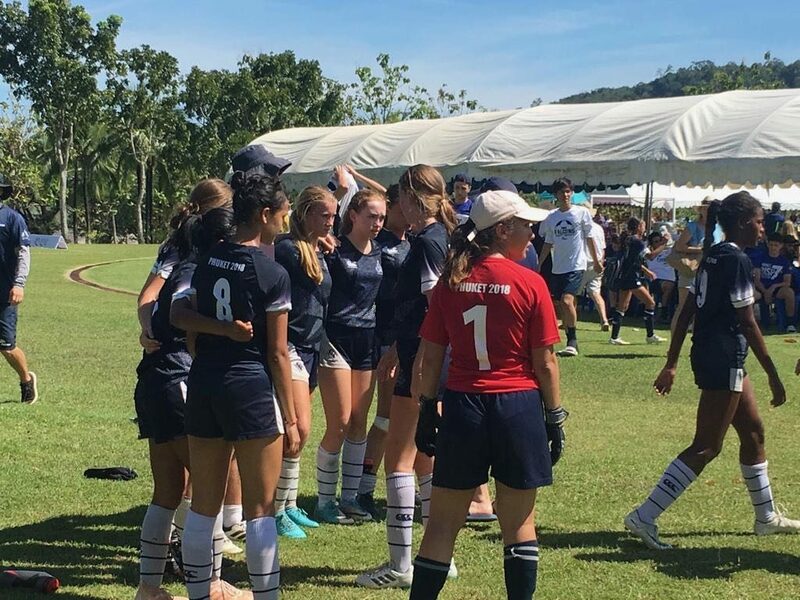 This group showed great determination and displayed the Marlborough College grit throughout the weekend, which is the benchmark that the group set themselves for each performance. 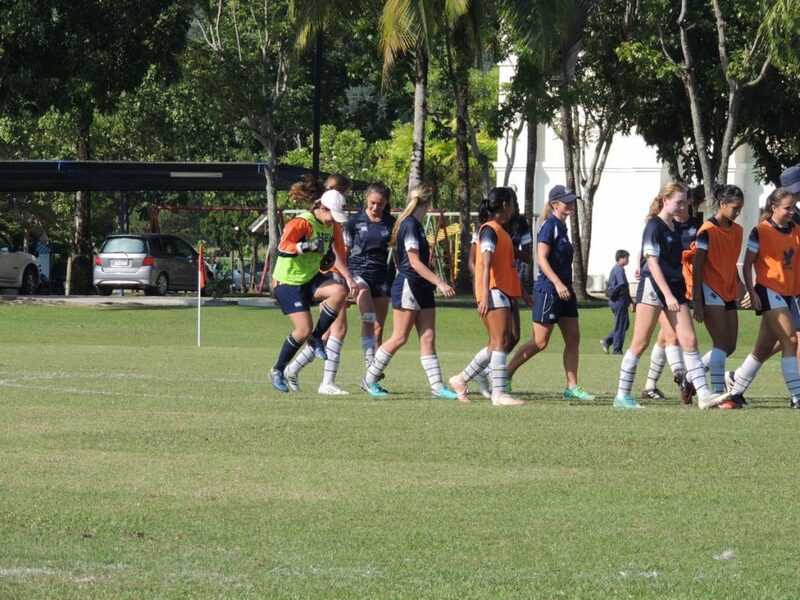 The U16s girls’ football team played with lots of determination, grit and composure. 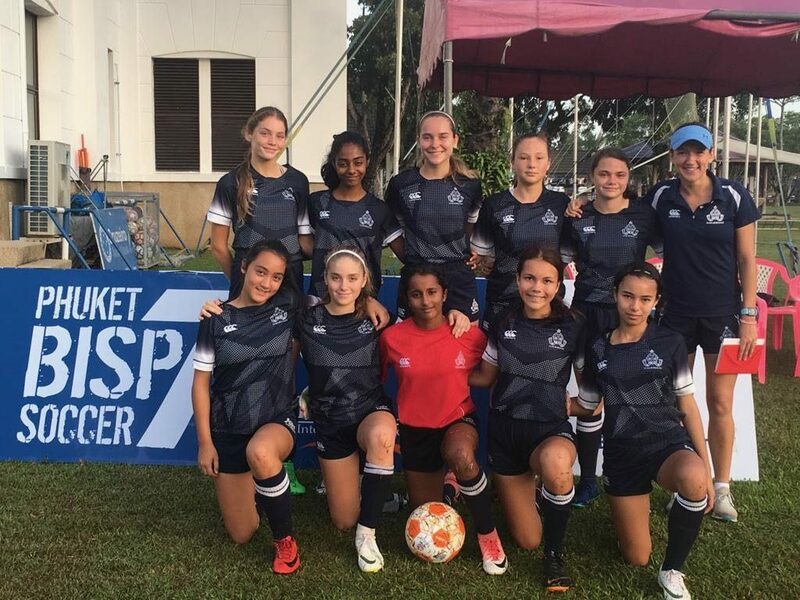 Our strikers Anya Benham and Gigi Coulson impressively delivered with Anya Benham scoring four goals and Gigi Coulson with a hat-trick of three. 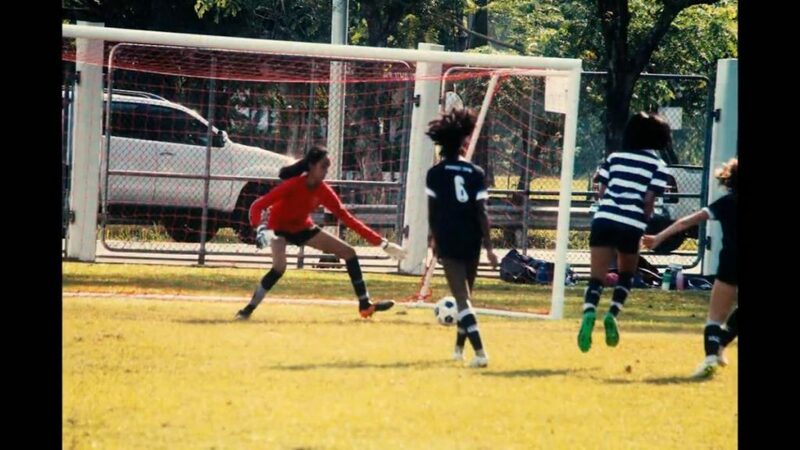 Calypso Riviere’s attacking skills were recognised in the tournament, gaining her the ‘Most Improved Player’ award for the team. 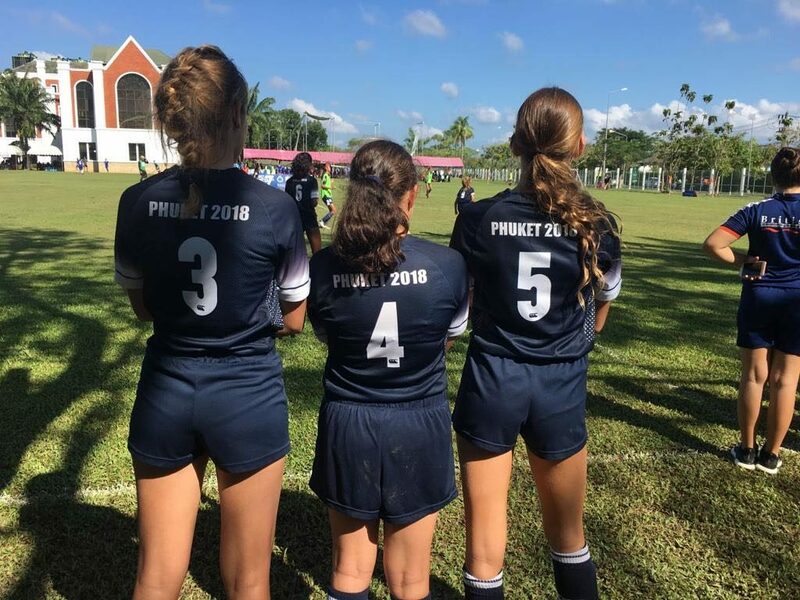 Mid-fielders Heather Richardson, Rhea Menon and Lola Picard not only scored goals but worked together to carry the ball up the field for possible goal conversions. 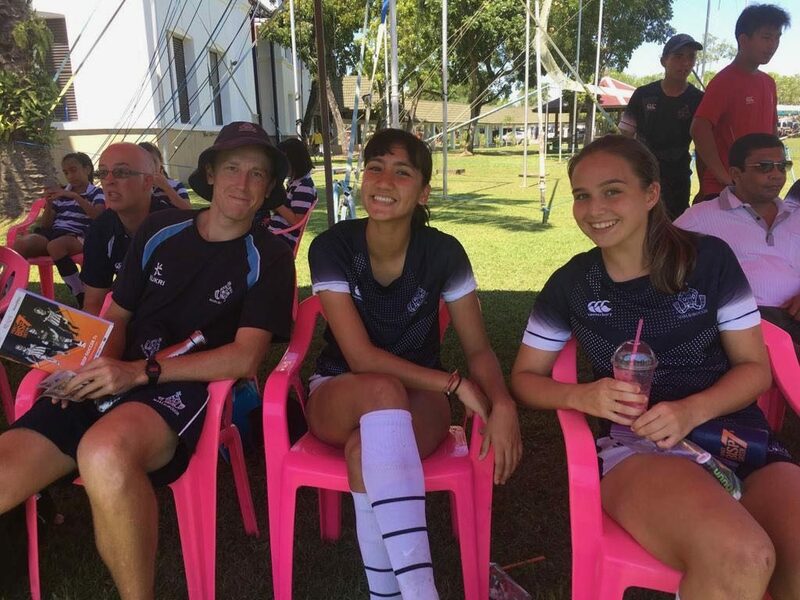 Issy Harkins and Lidiia Pervak proved a formidable line of defence together with Mahana Sajko who earned a ‘Players’ Player’ award as her ball skills in defence intimidated the opponents. 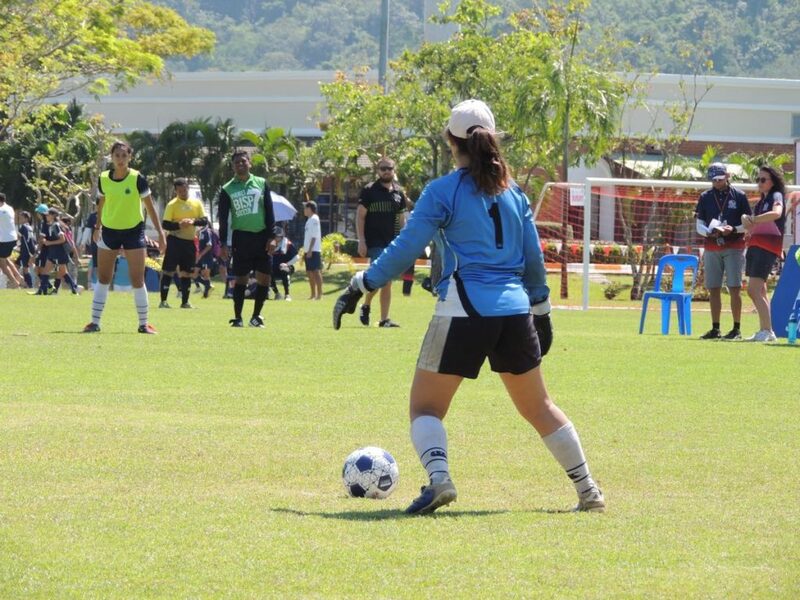 Their goalkeeper, Dimansa Ralapanawa shut down the opposition with some amazing saves. 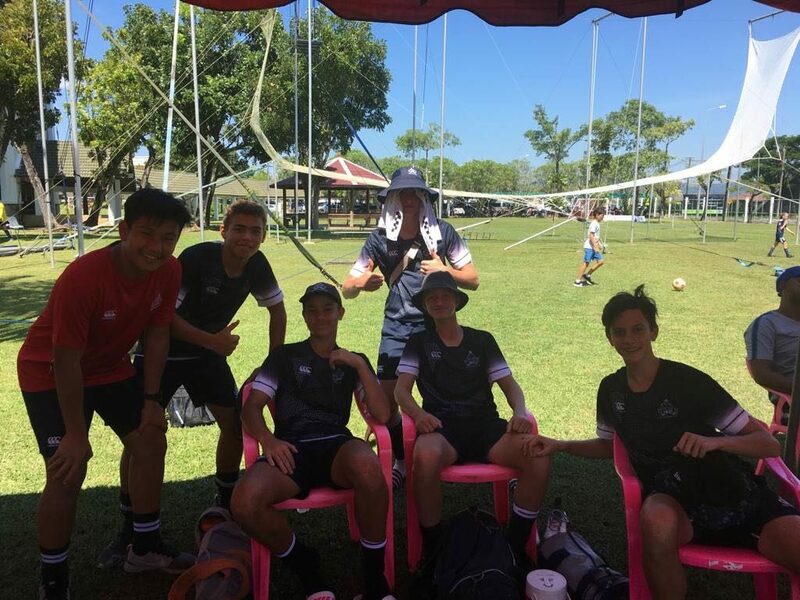 The U18 boys played exceptionally well over the weekend in Phuket. 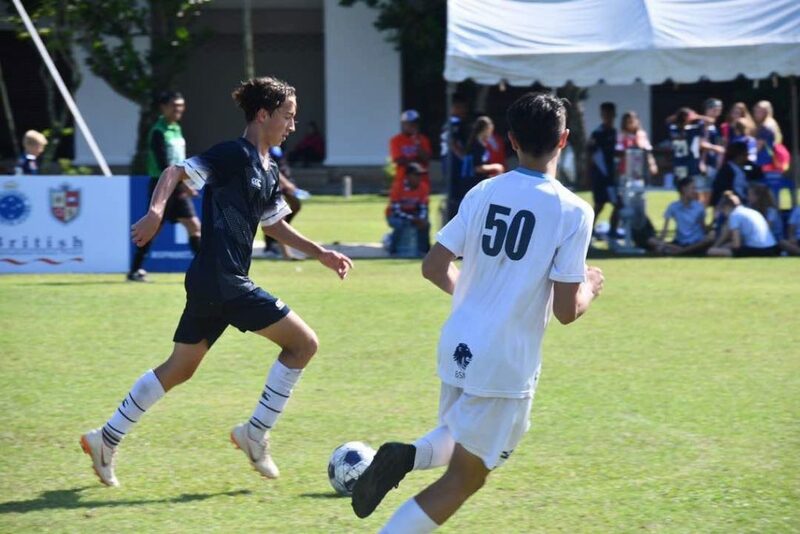 On the first day, the boys started off with a 1-0 win against Shrewsbury with Chris Sharma scoring a rebound from Morgan Davies’s first attempt on goal. 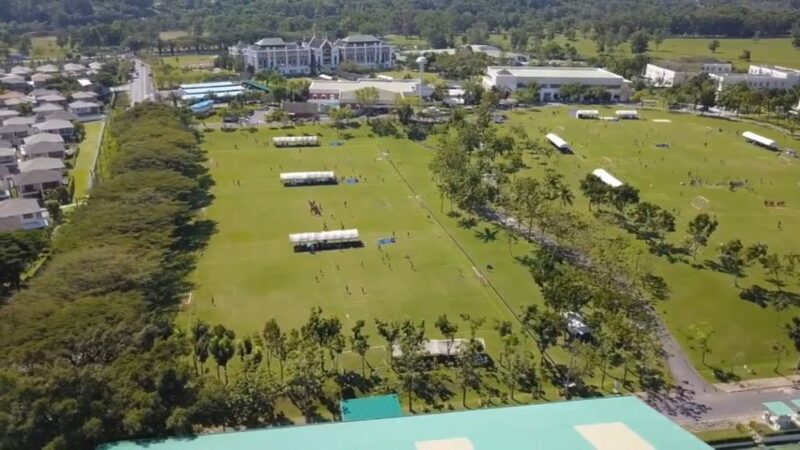 Unfortunately, the boys’ second game was a defeat, losing to the British School of Manilla despite being in control throughout the game. 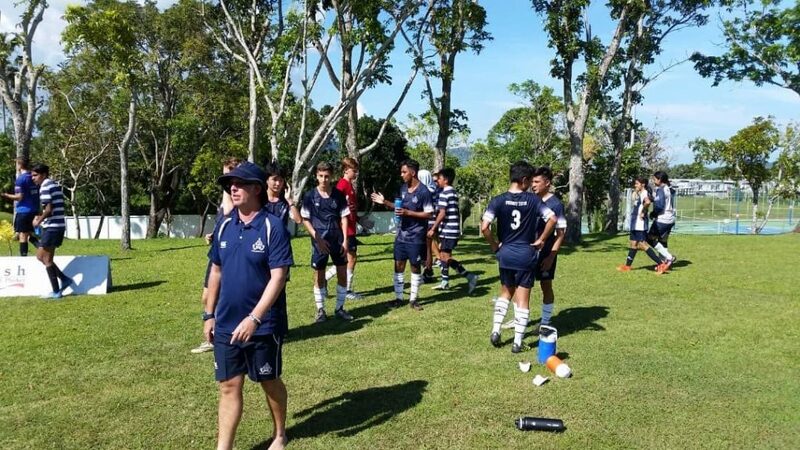 The boys learnt from their mistakes and changed their mindset and pressed on to their third game. 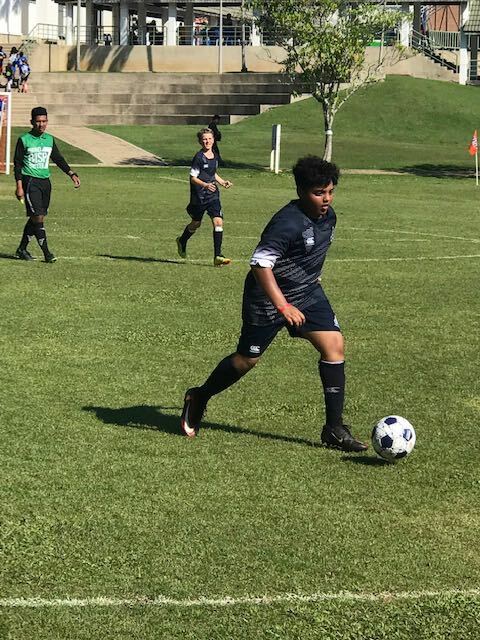 With only one substitute due to suspension, the boys then played against Head Start school. 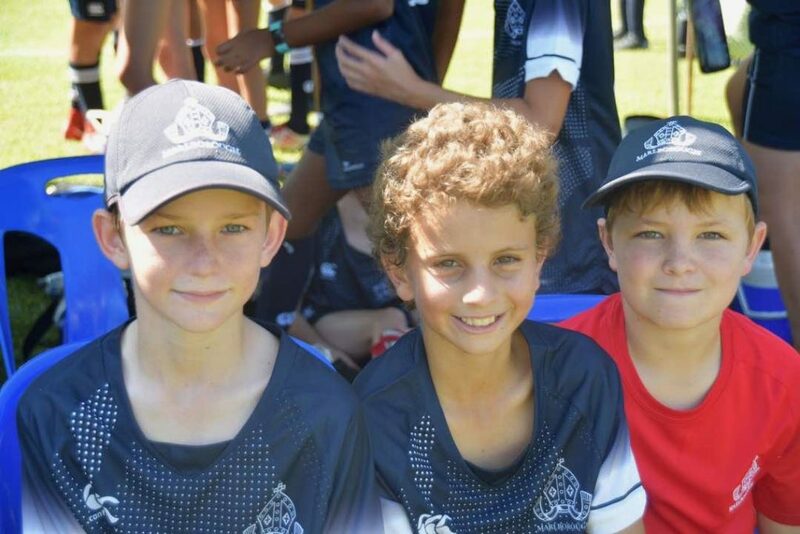 The boys dominated the whole game with everyone playing brilliantly. 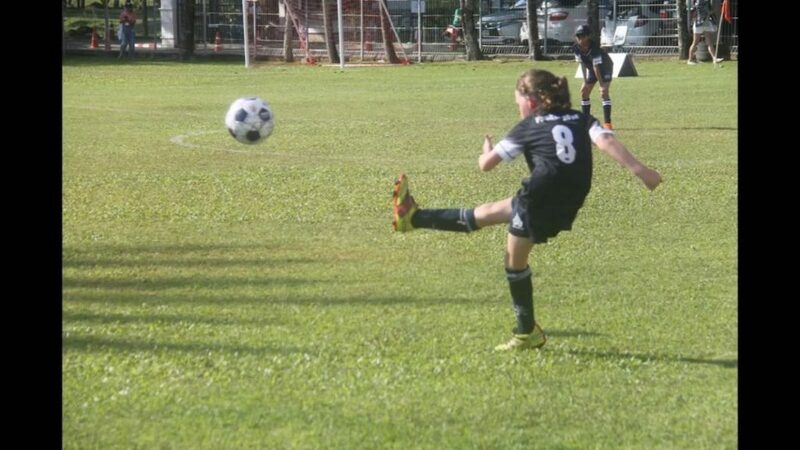 However, despite their endeavour, they were unlucky to come away with a draw. 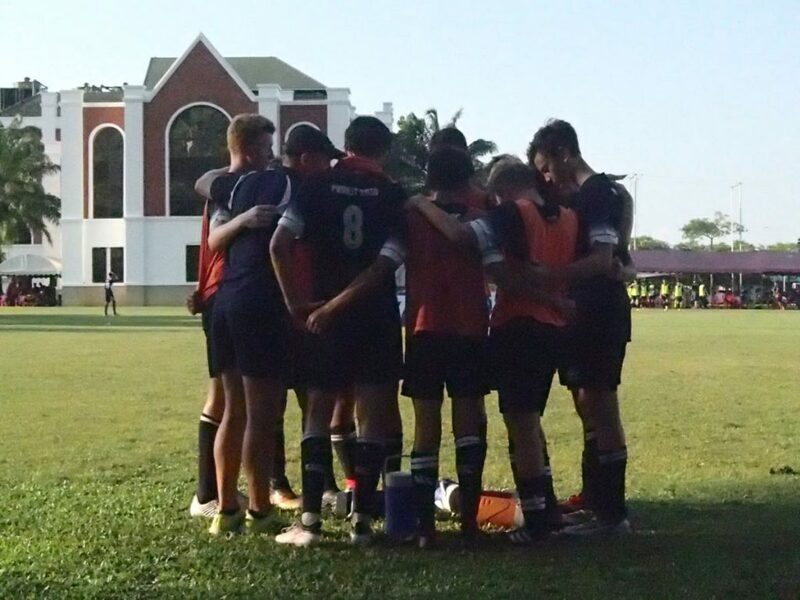 The boys ended the day second in their group and were set to face Epsom in a grudge match the next day. 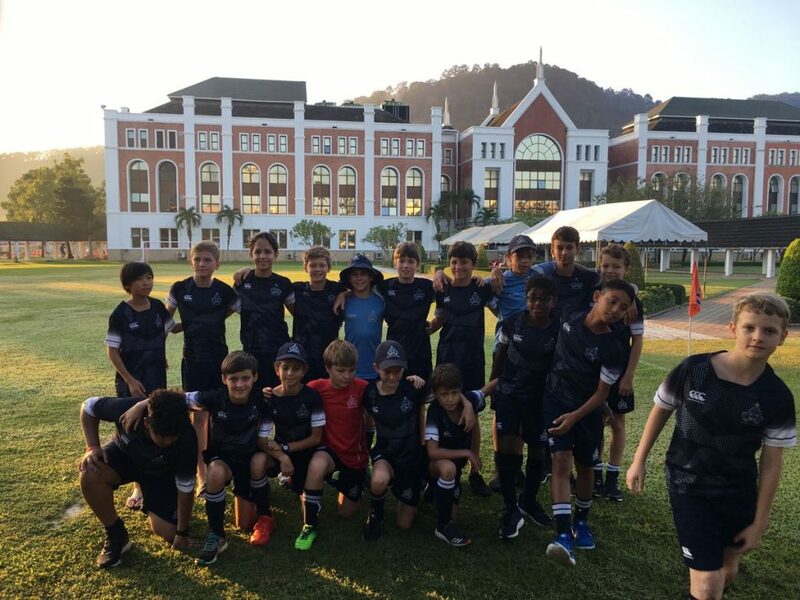 Determined, the boys won against Epsom in the early morning, with Ciaran Lynch and Arvin Narain Silva linking up with amazing Barcelona-esque football setting up Chris Sharma, for his second goal of the tournament, securing a 1-0 win over Epsom. 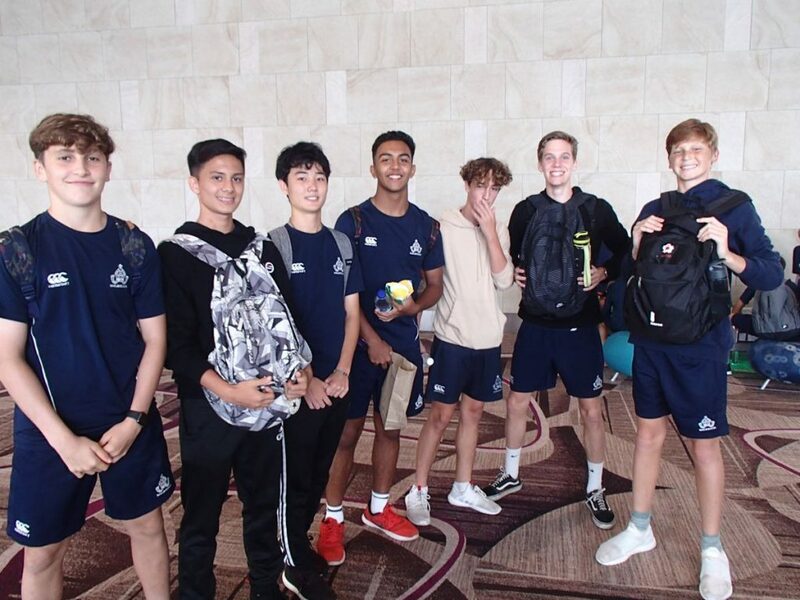 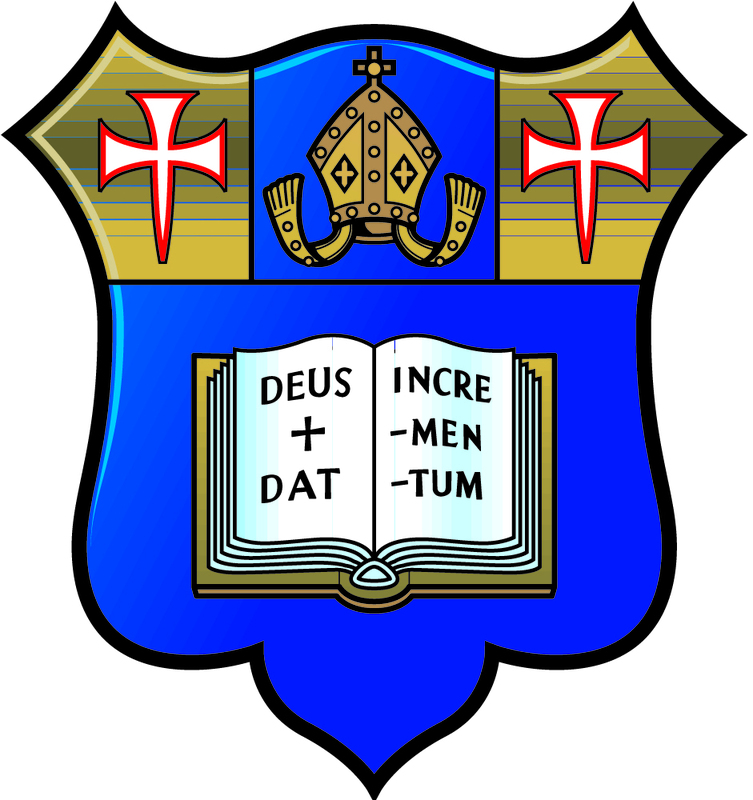 The boys’ commitment carried to the quarter-final against Alice Smith. 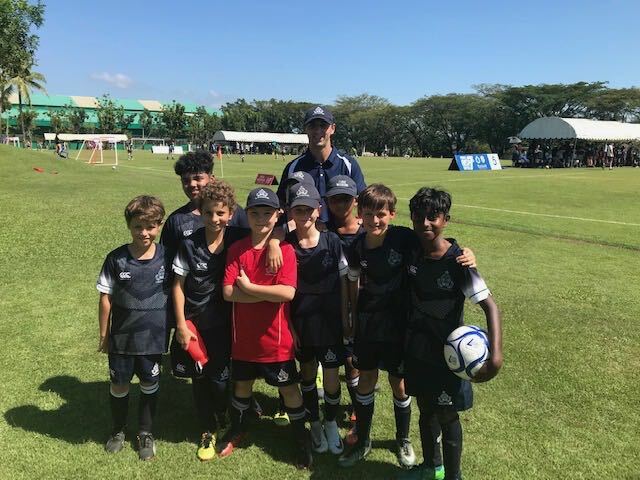 With a tactical change in formation by Mr Davies, the boys then went on to draw with Alice Smith, the eventual runners-up. 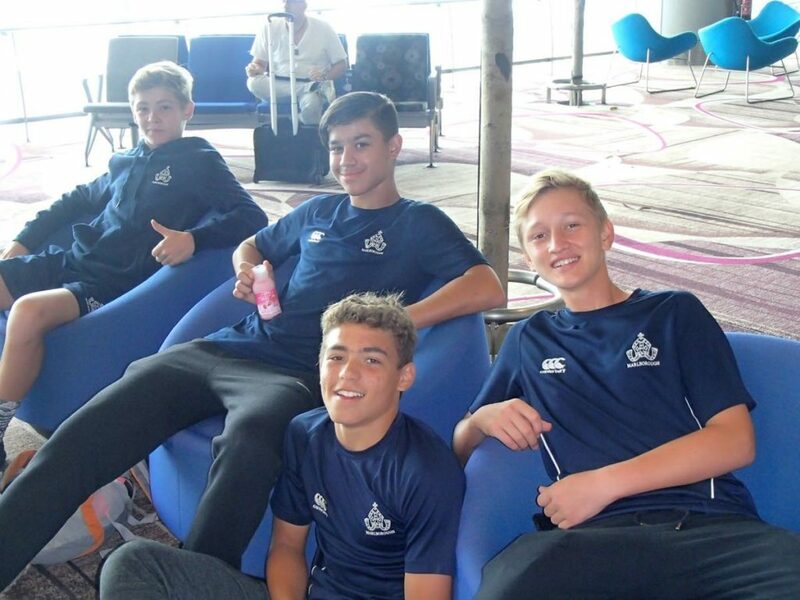 Jay Chew and Nicholas Beelaerts Van Blokland played particularly well in defence, as did Freddie Patten, who maintained his outstanding run of performances with four clean sheets out of five. 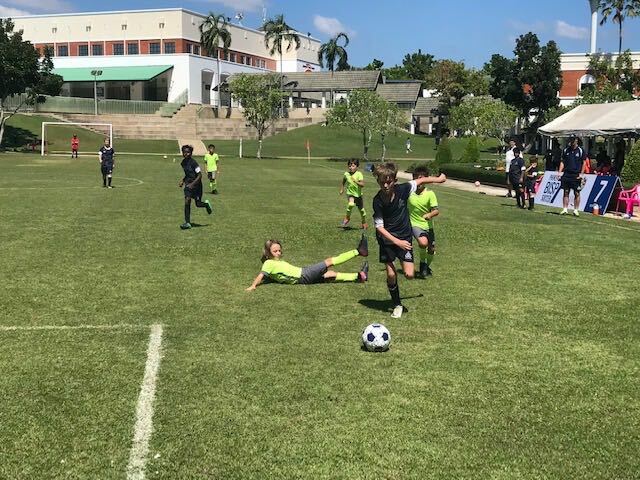 As a result of the draw, it led to penalties and despite Morgan Davies’s goal in the penalty shootout, the boys were knocked out, finishing joint fifth out of 20. 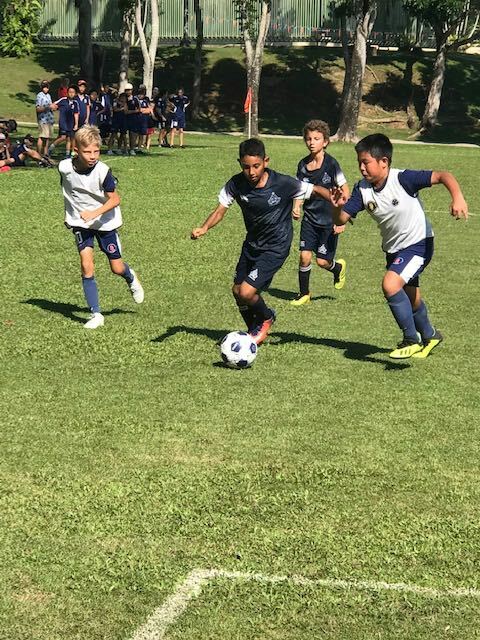 The ‘Coaches’ Player’ award was given to Arvin Narain Silva for his excellent commitment and non-stop running throughout the whole tournament. 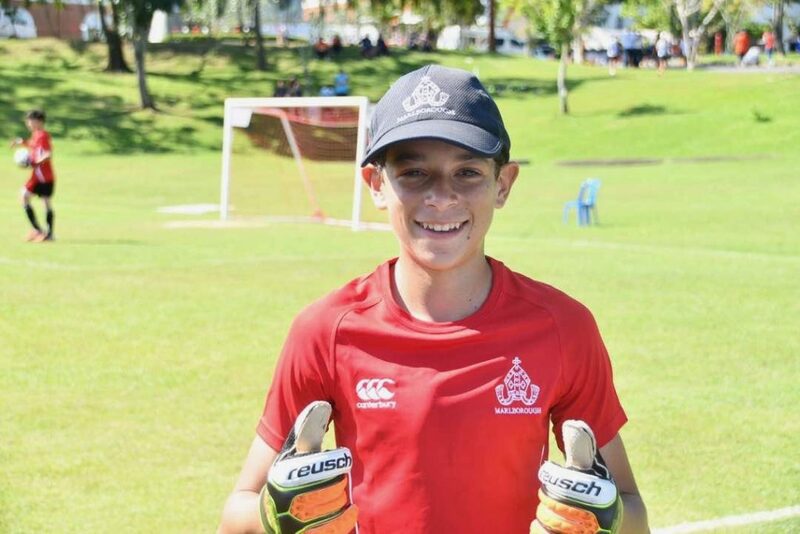 The ‘Players’ Player’ award was given to Nicholas Beelaerts Van Blokland for his leadership and excellent defending over the two days. 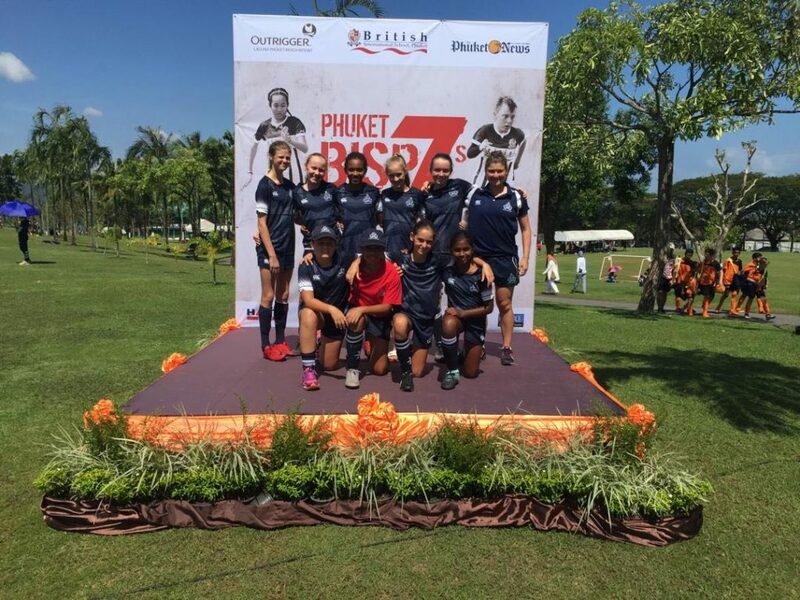 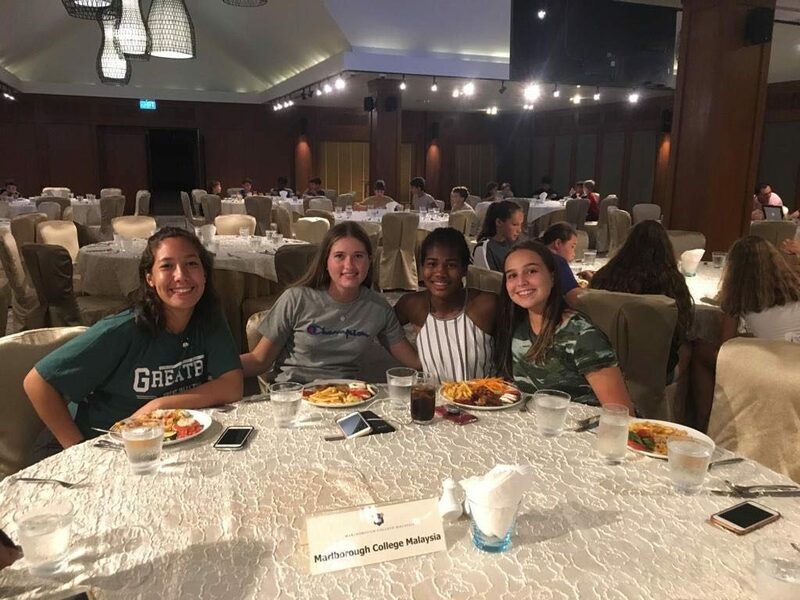 The U18 girls had a fantastic weekend in Phuket, putting the skills they learnt in training to good use. This was especially evident in the skilful assists and goals that came from a variety of different players. 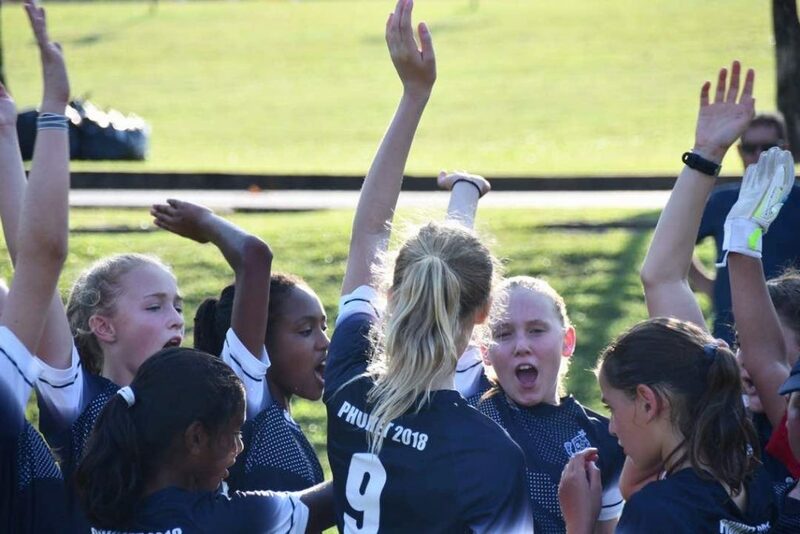 Goals came from Sophie Parkhurst, Holly Rodwell-Chance, Uma Scott and Amellia Puteri, with splendid assists from Kensie McNaught. 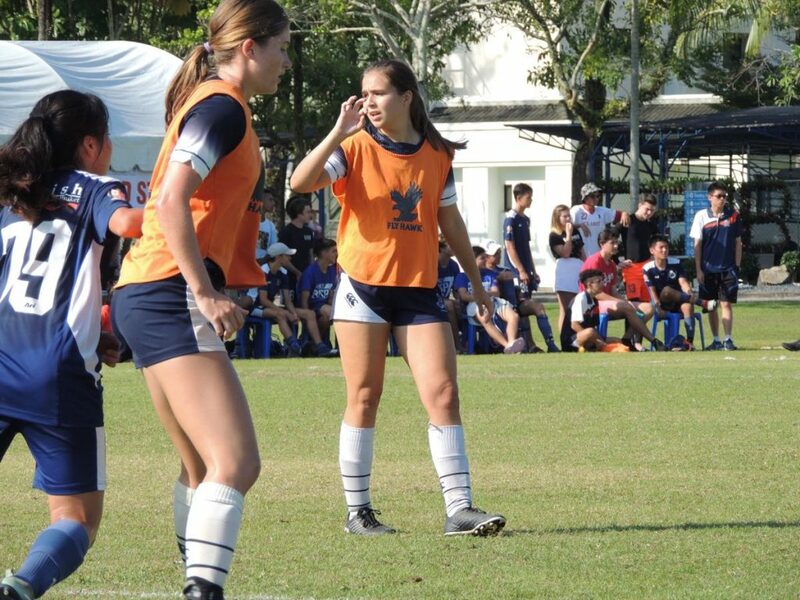 It came as no surprise that Ameilla Puteri was our Golden Boot for the season, as she put her pace to good use along the wing and scored some superb goals. 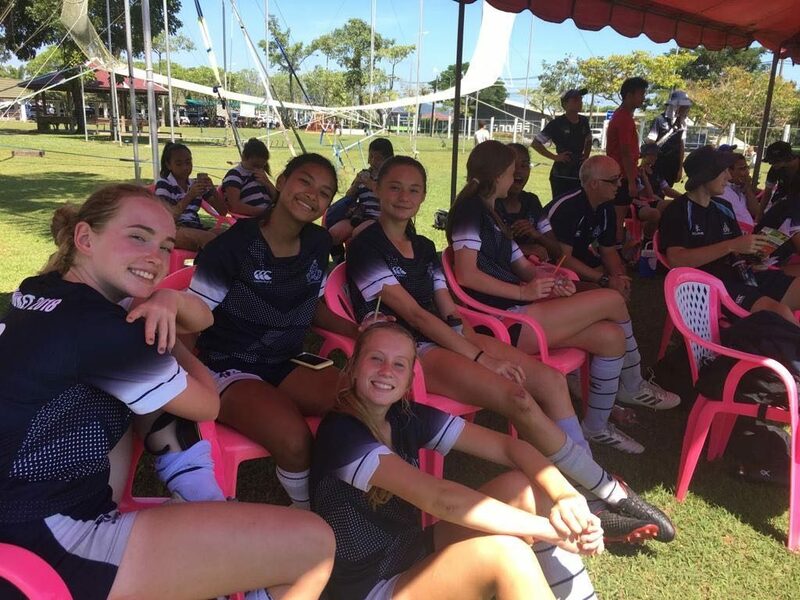 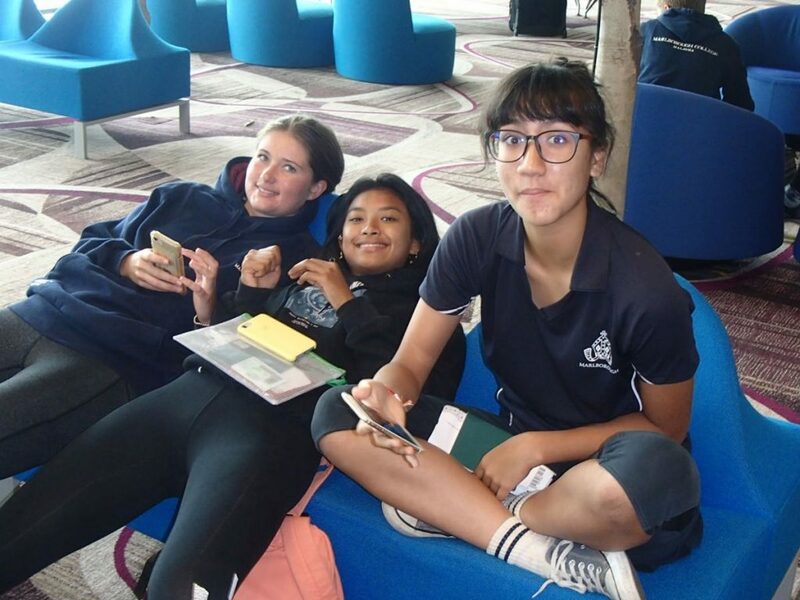 The competition in Phuket was of an extremely high calibre, but the girls rose aptly to the challenge and came out with an impressive result. 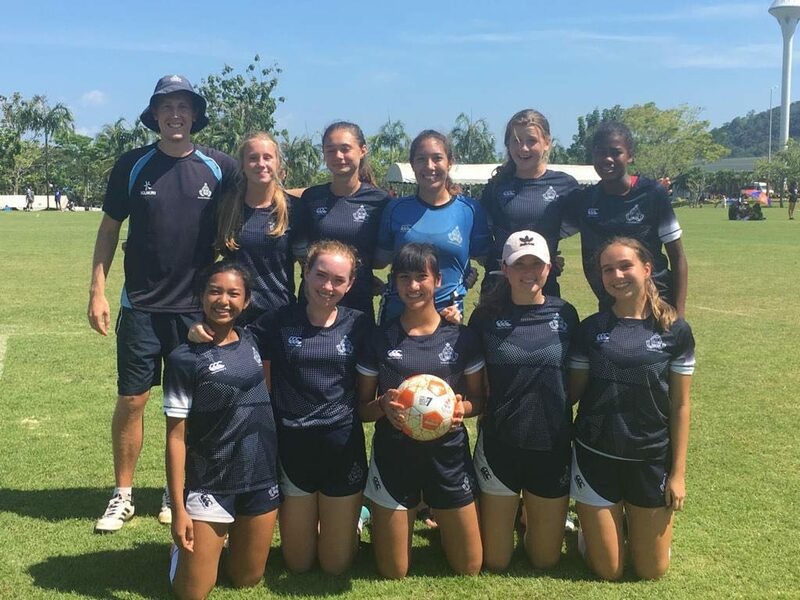 They were unfortunately knocked out of the quarter-finals, narrowly losing to the eventual winners, Alice Smith, in penalties. 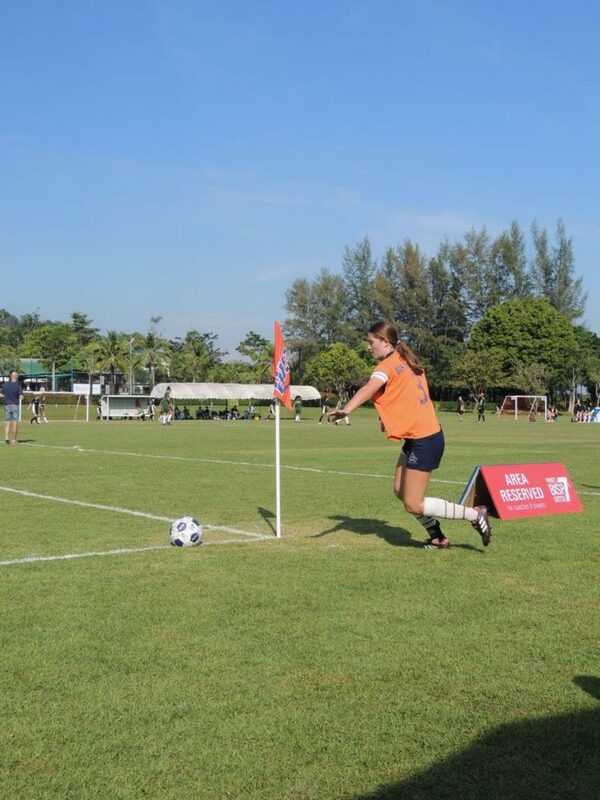 A particular highlight of the weekend was a stunning goal against BISP from Holly Rodwell-Chance, who finished expertly off of her left foot. 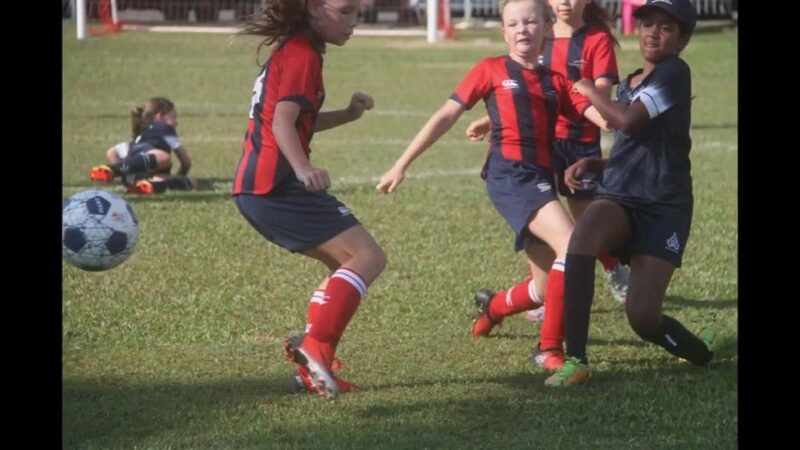 Stephany Sullivan’s defensive headers and all around hard work in the midfield was also a highlight, eventually earning her the title ‘Player of the Season’. 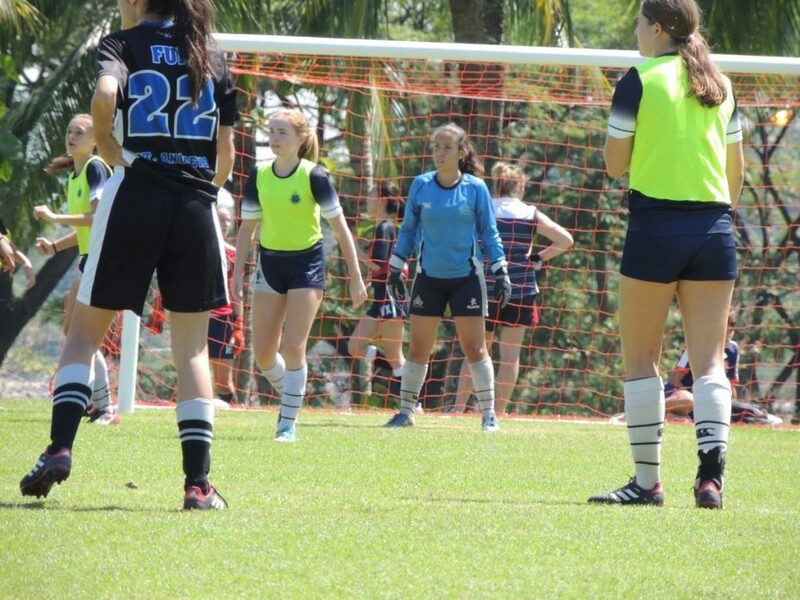 Karina Russell, our prized goalkeeper was voted as the ‘Players’ Player’ of the tournament, and our rock-solid right-back, Miranda Leese, was nominated as the most improved player. 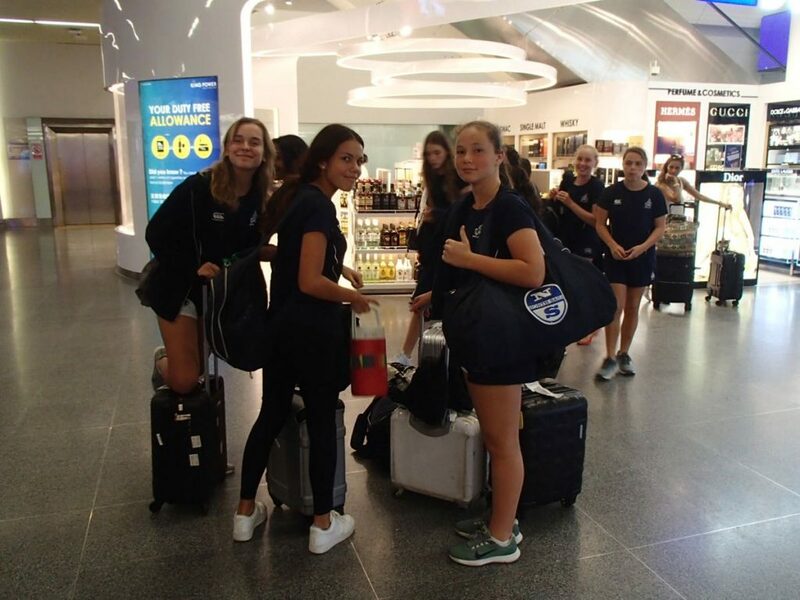 Overall, the girls represented the college proudly and were a true testament to the high-quality footballing talent MCM has to offer.